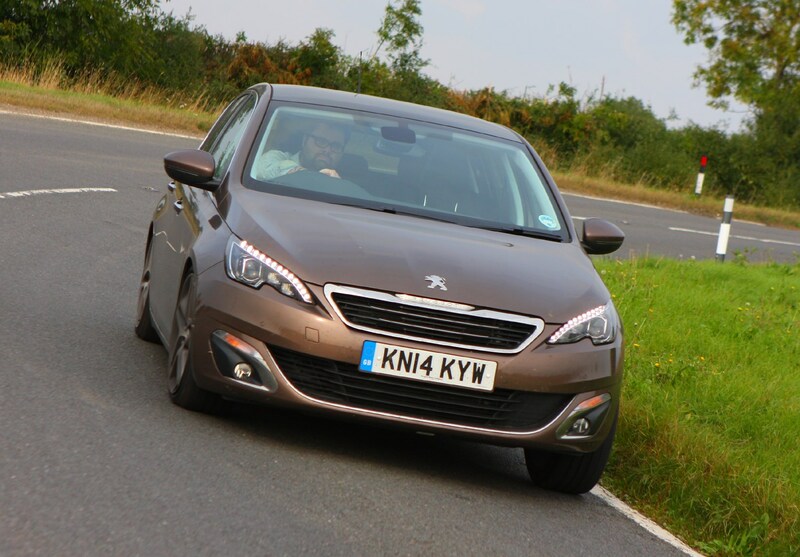 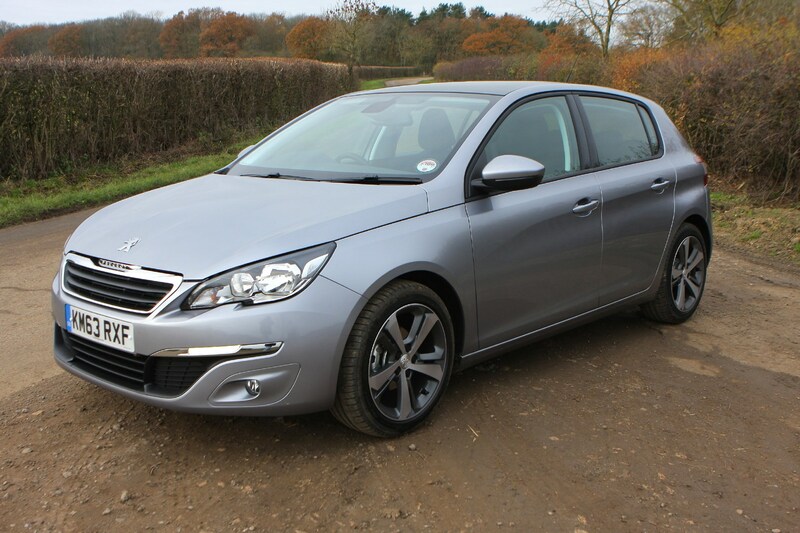 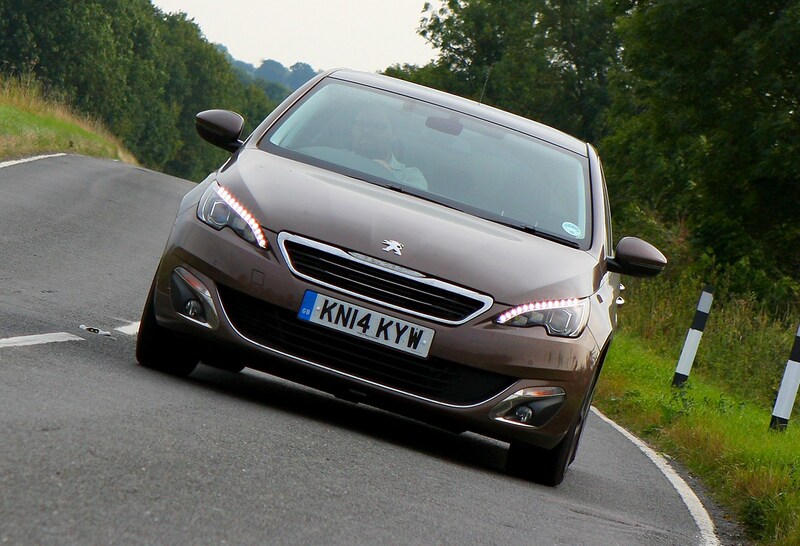 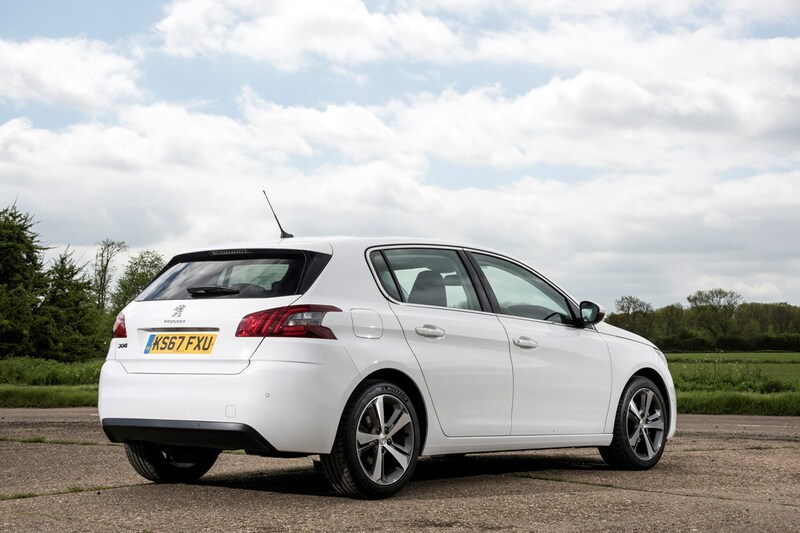 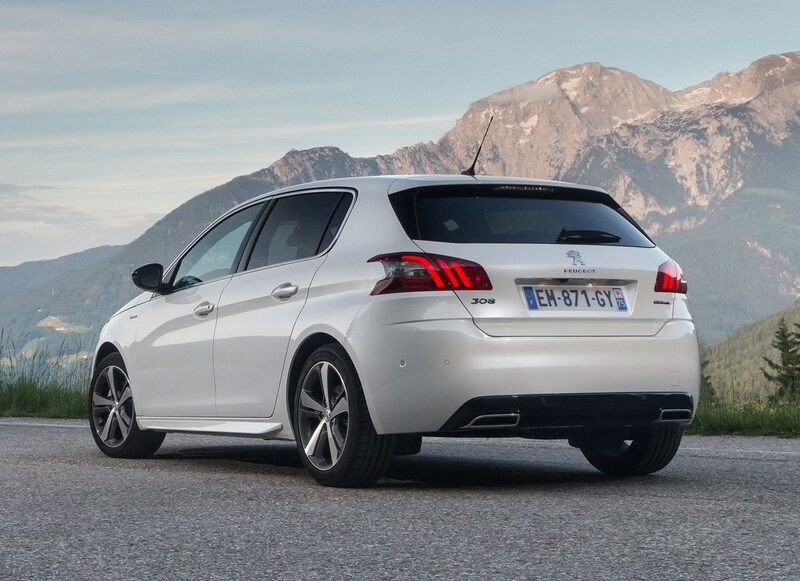 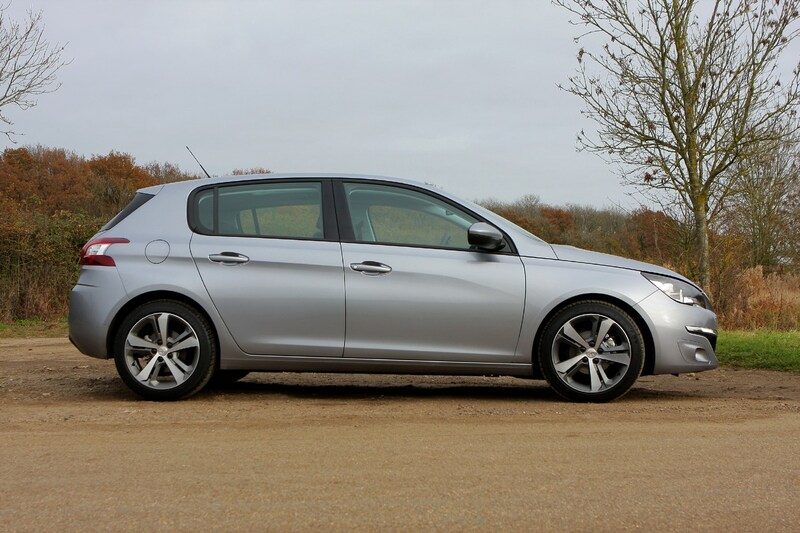 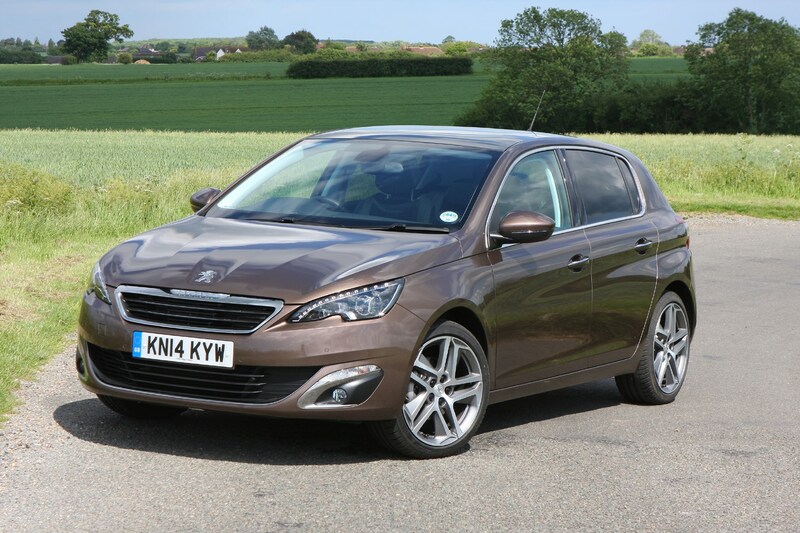 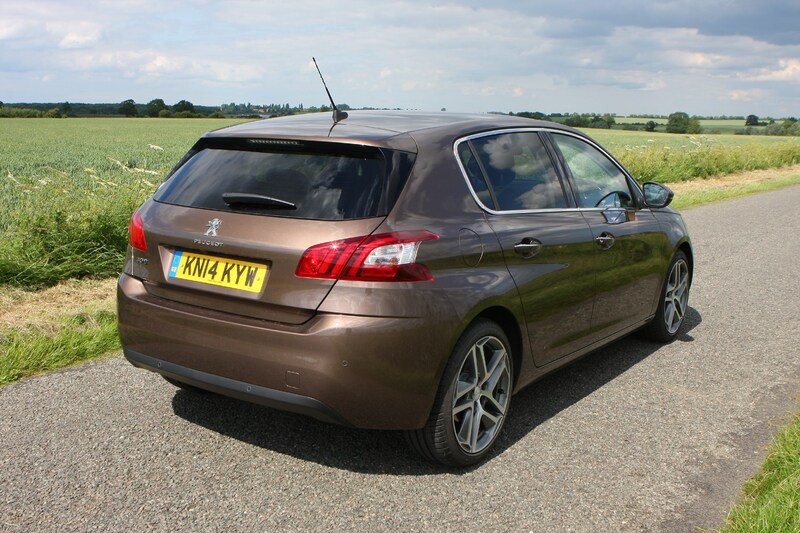 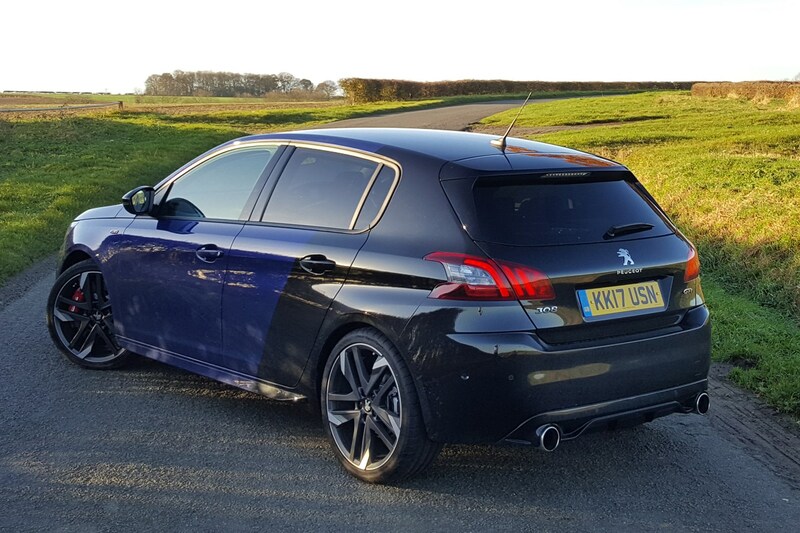 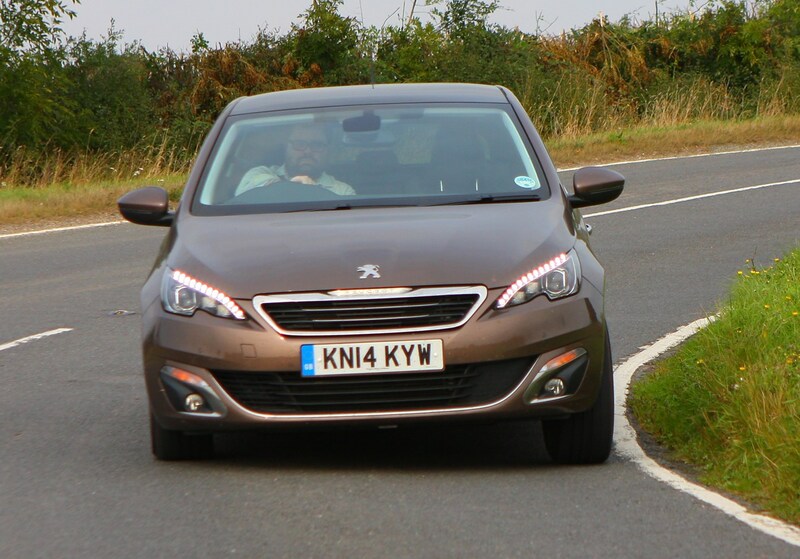 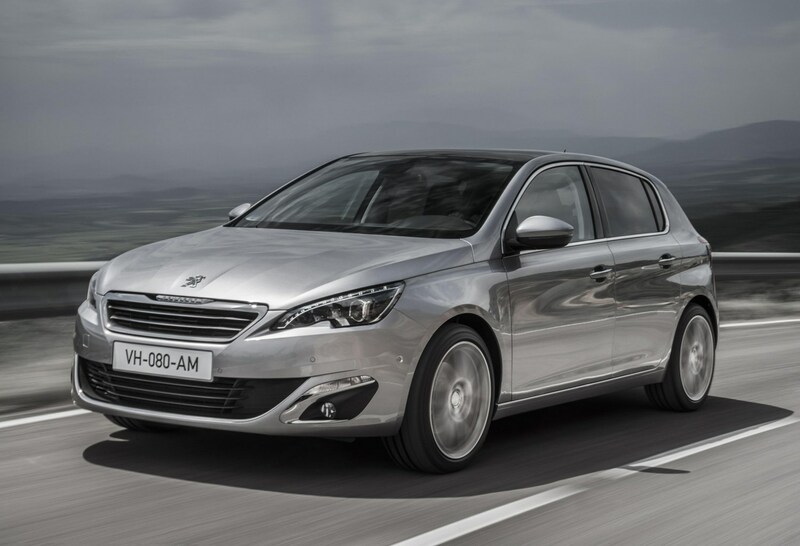 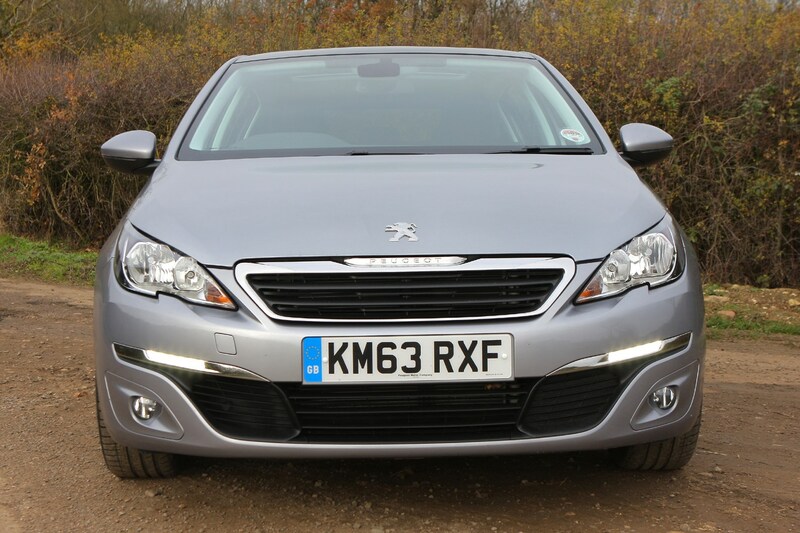 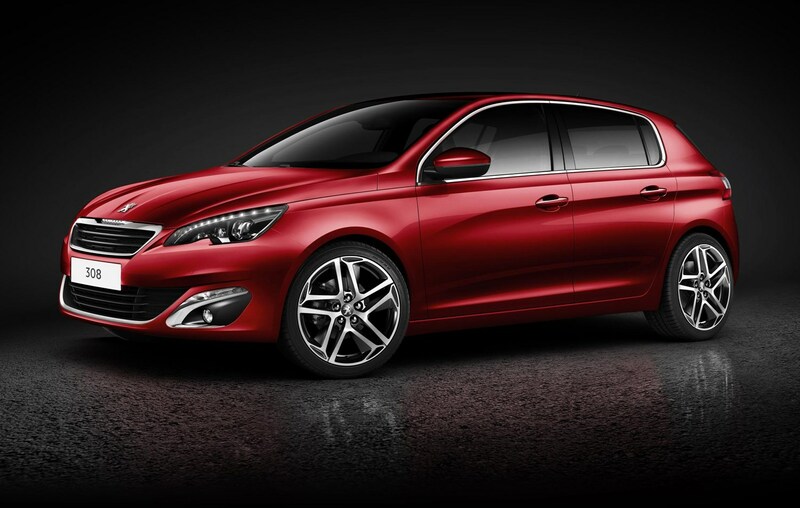 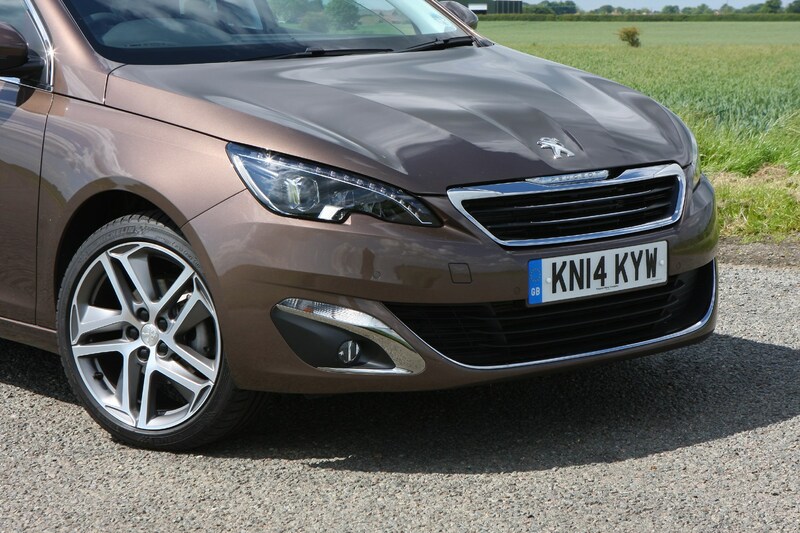 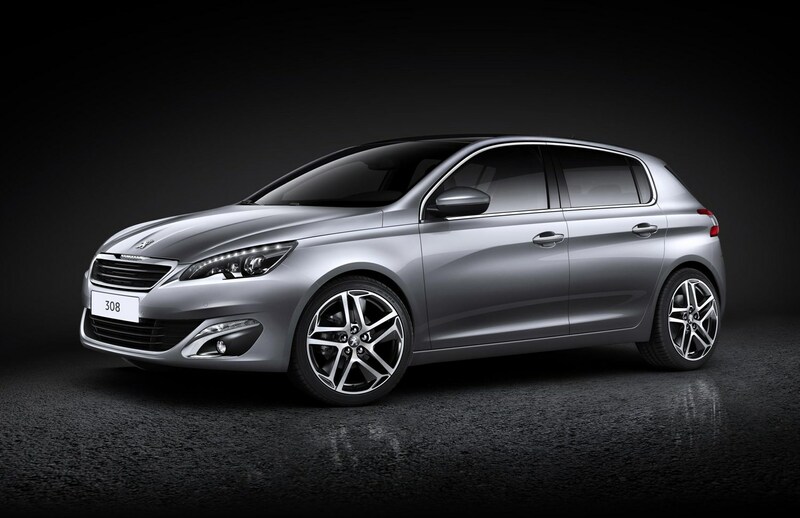 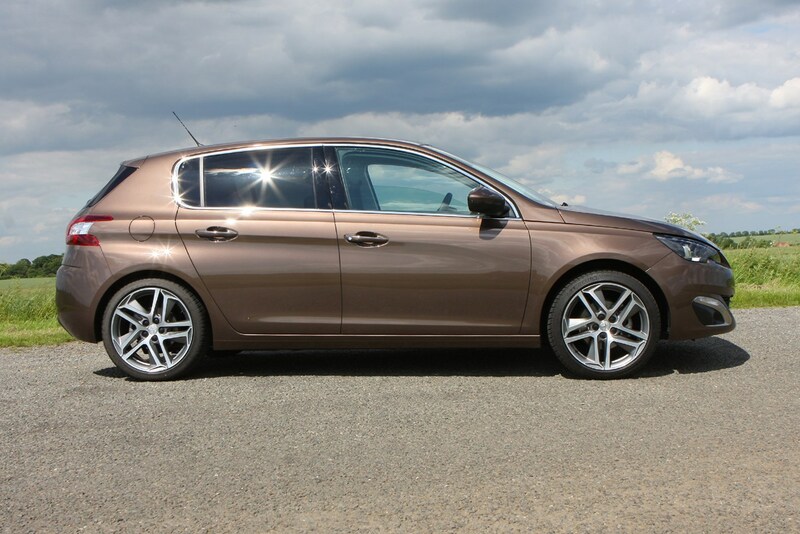 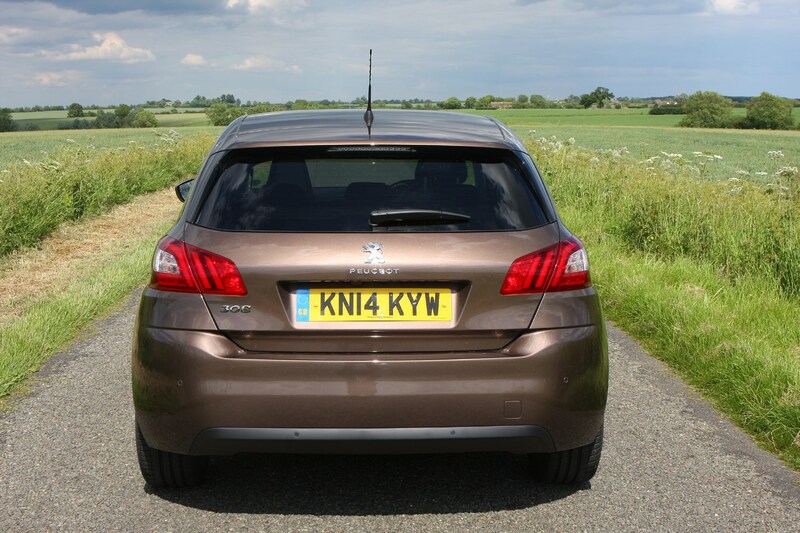 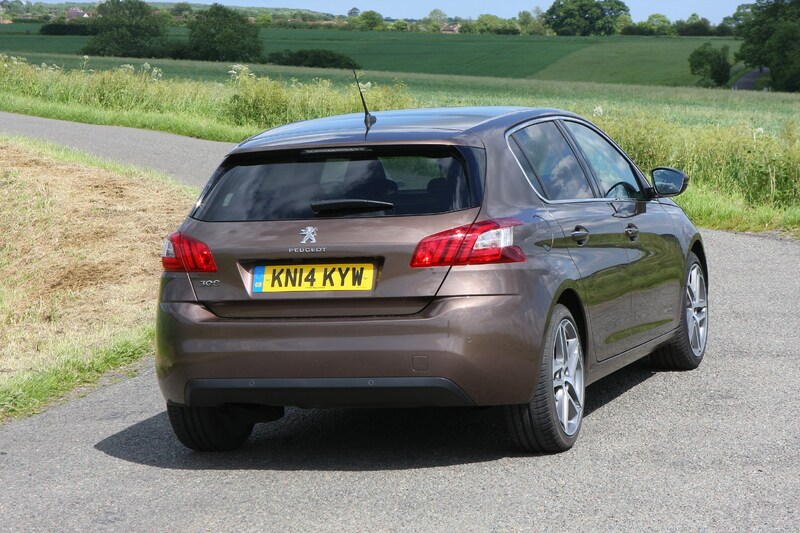 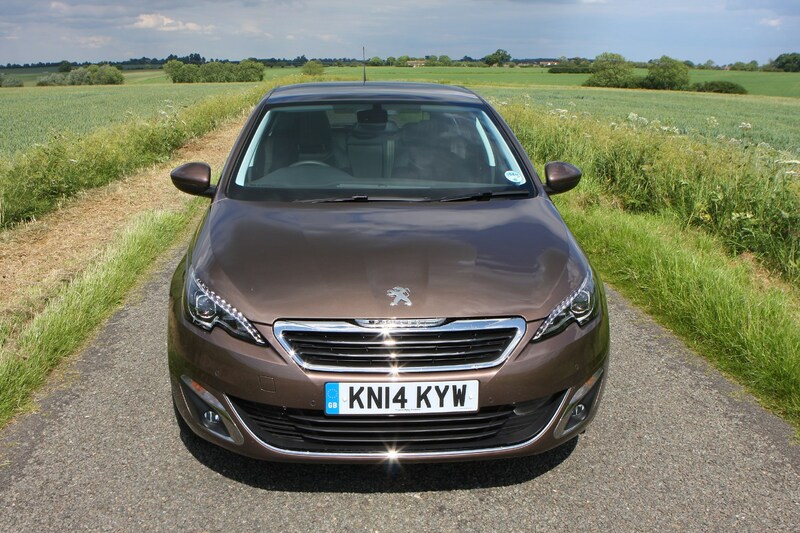 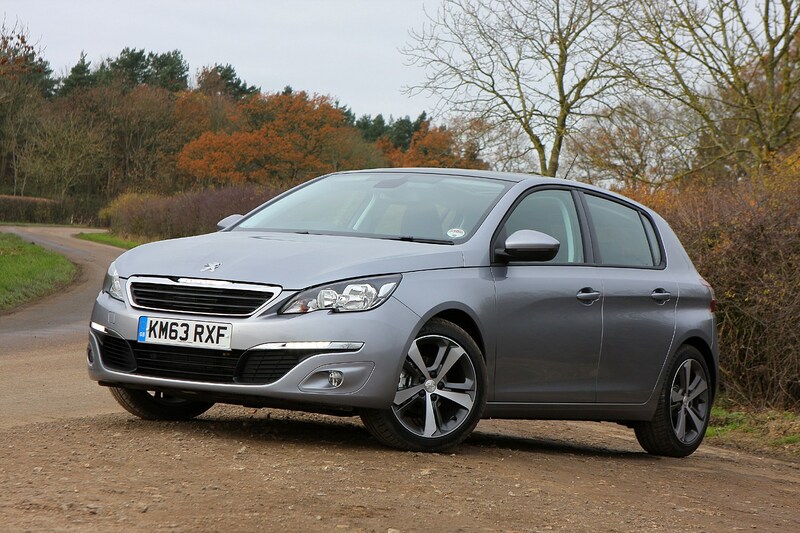 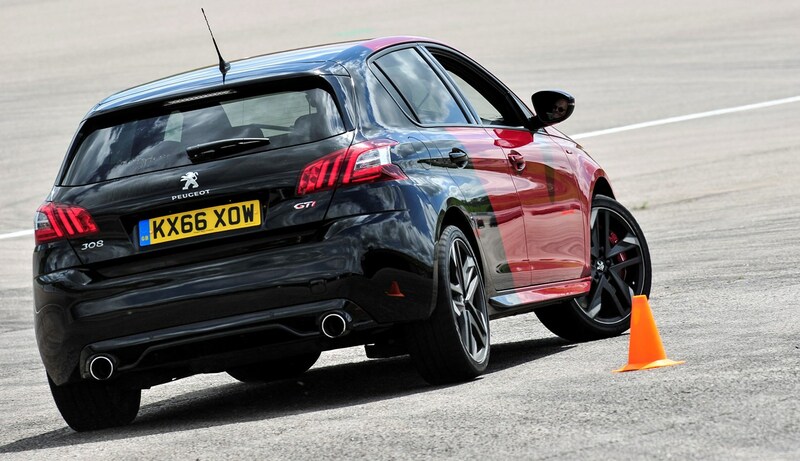 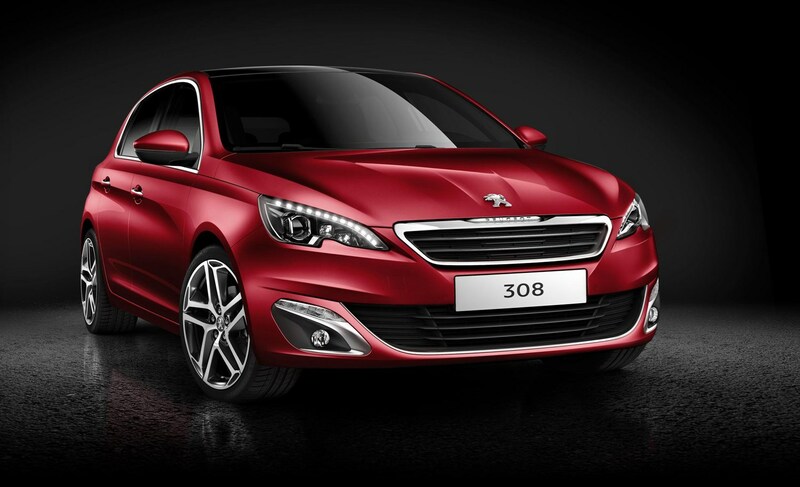 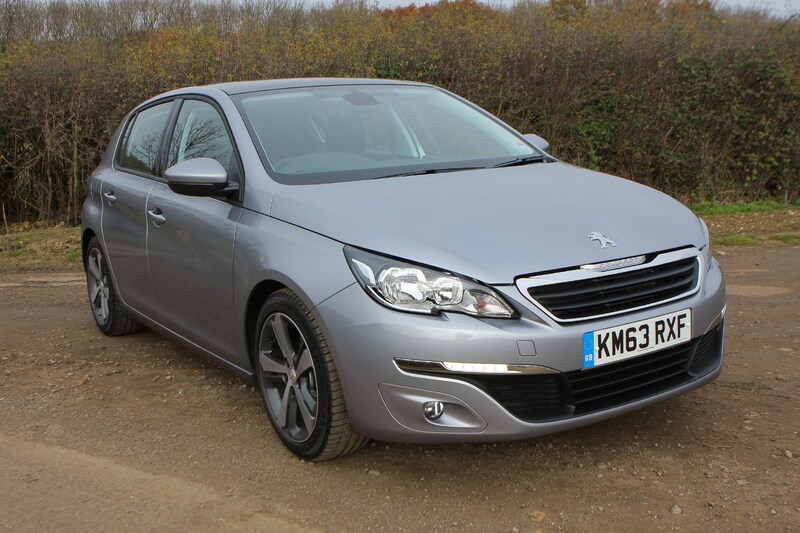 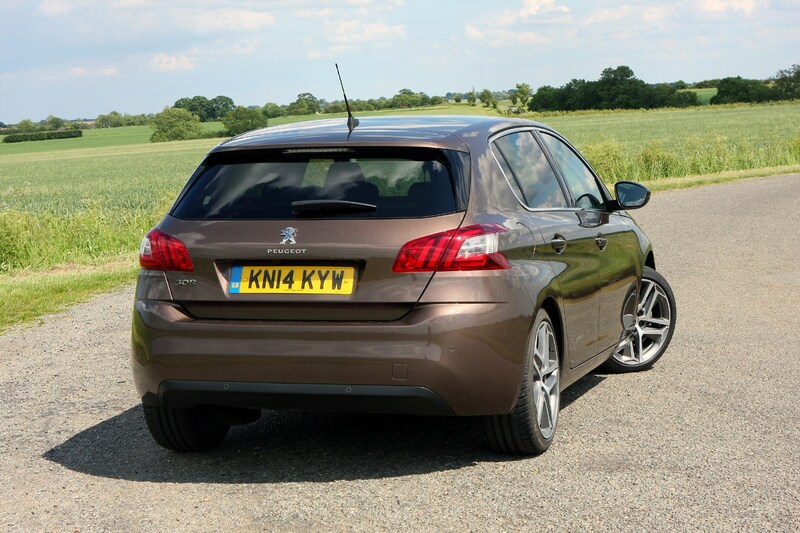 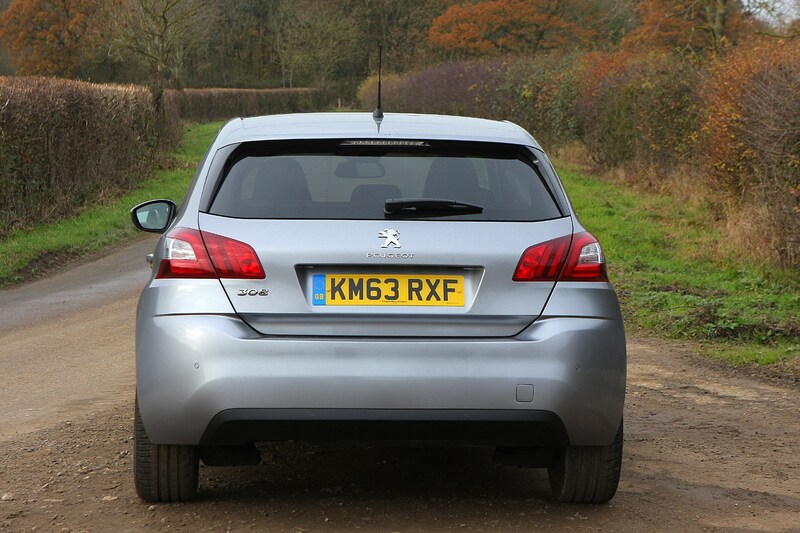 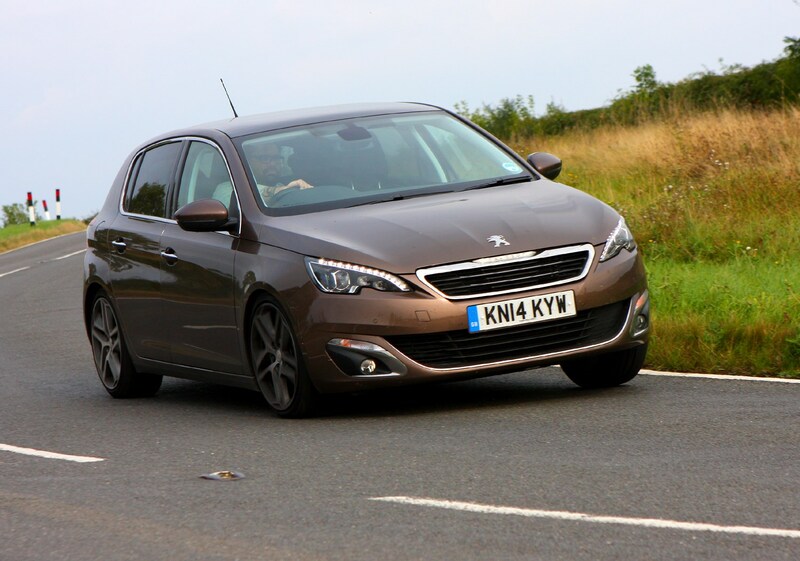 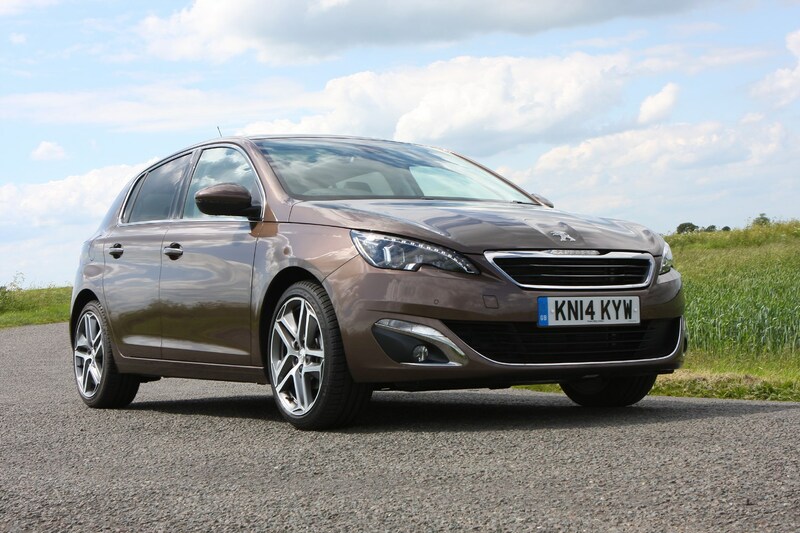 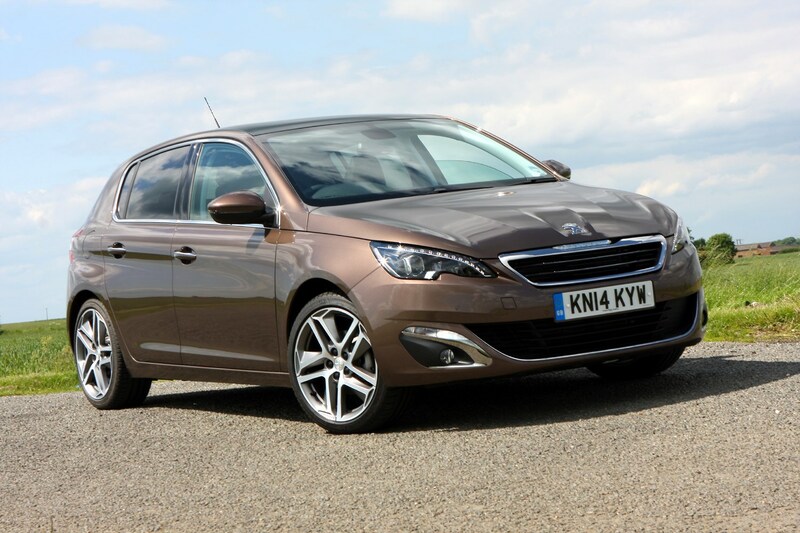 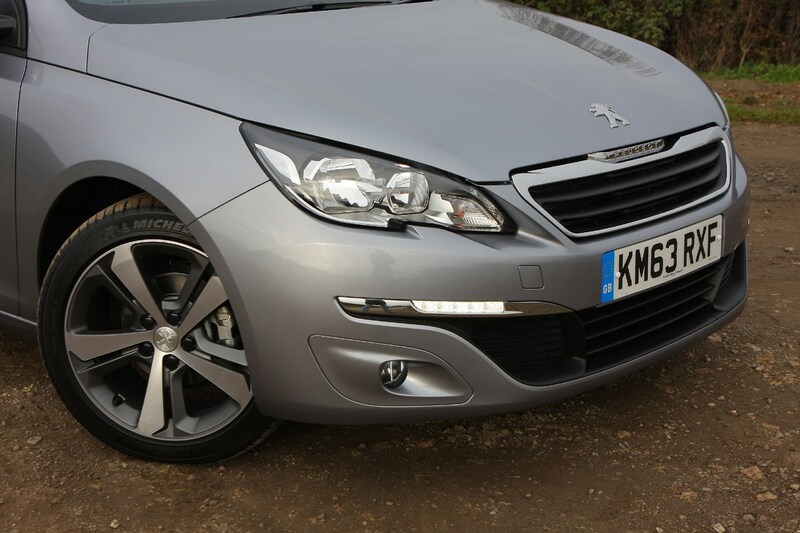 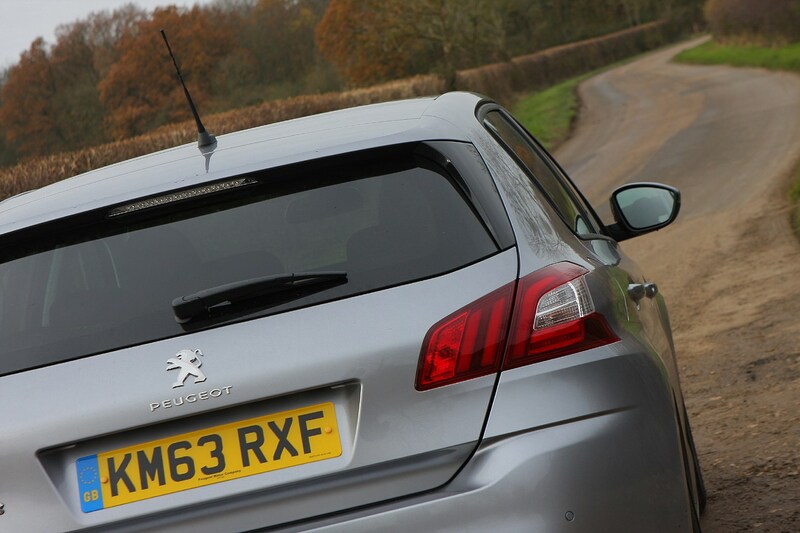 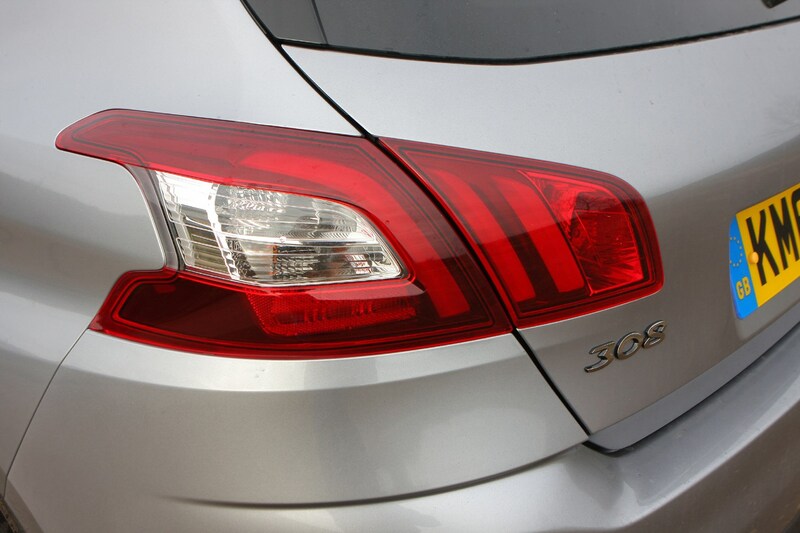 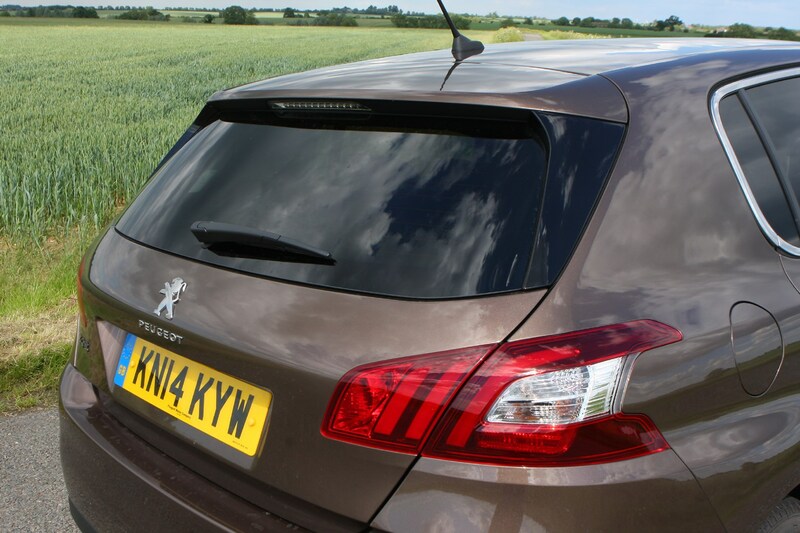 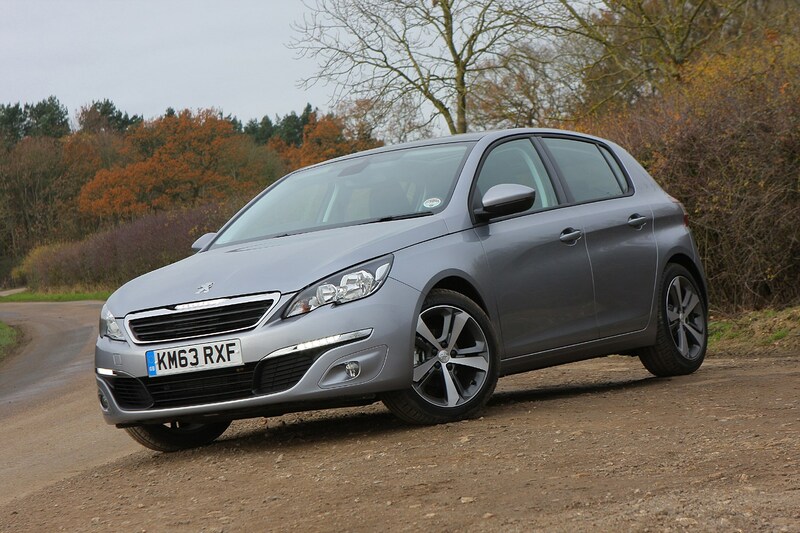 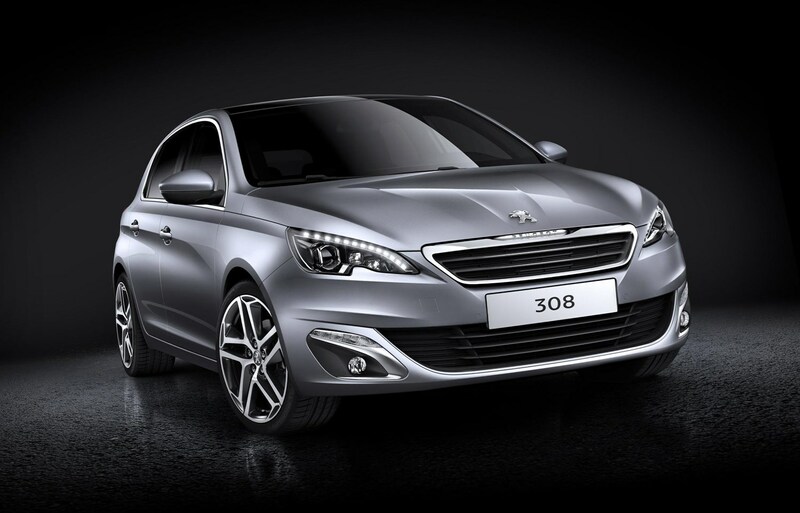 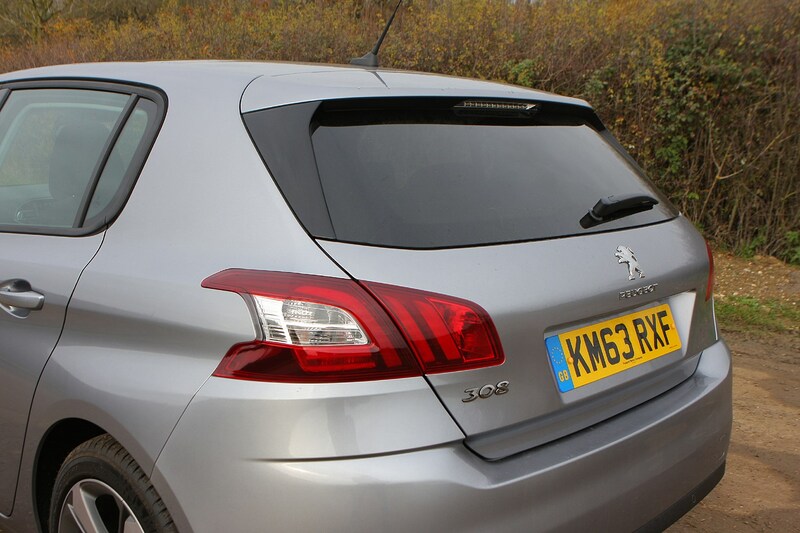 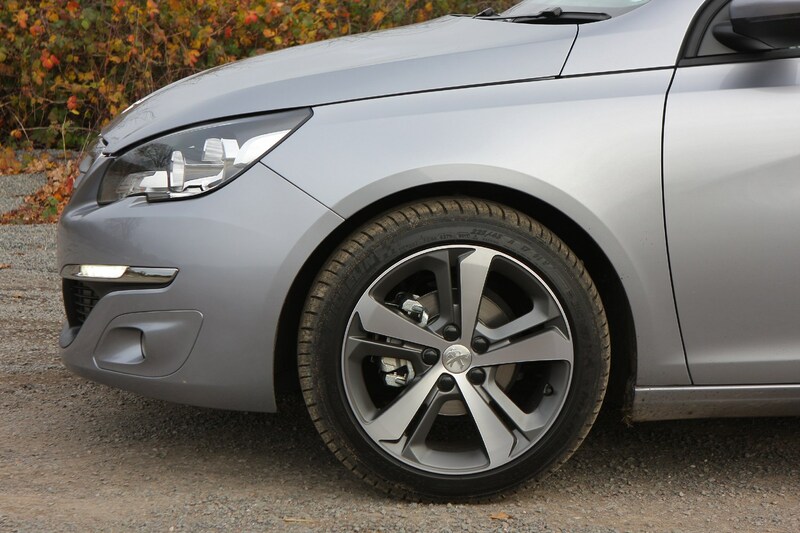 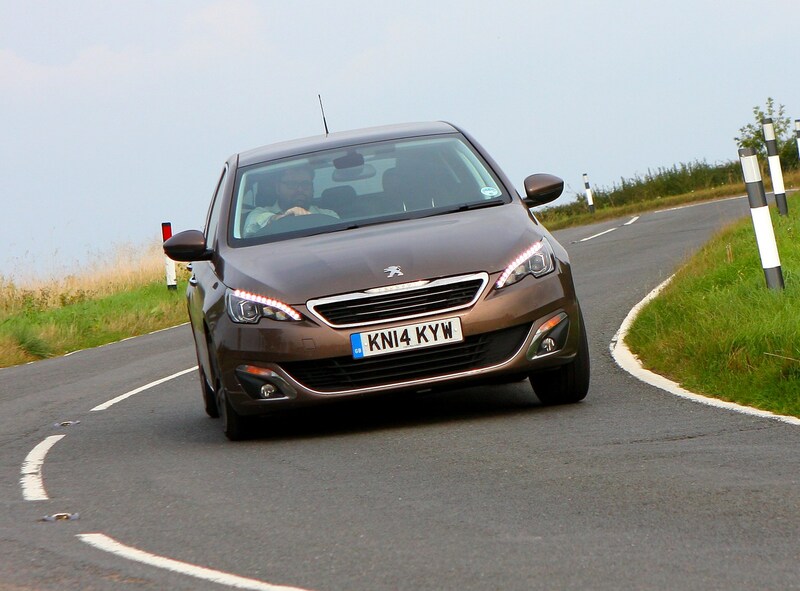 Which Peugeot 308 Hatchback is best for me? 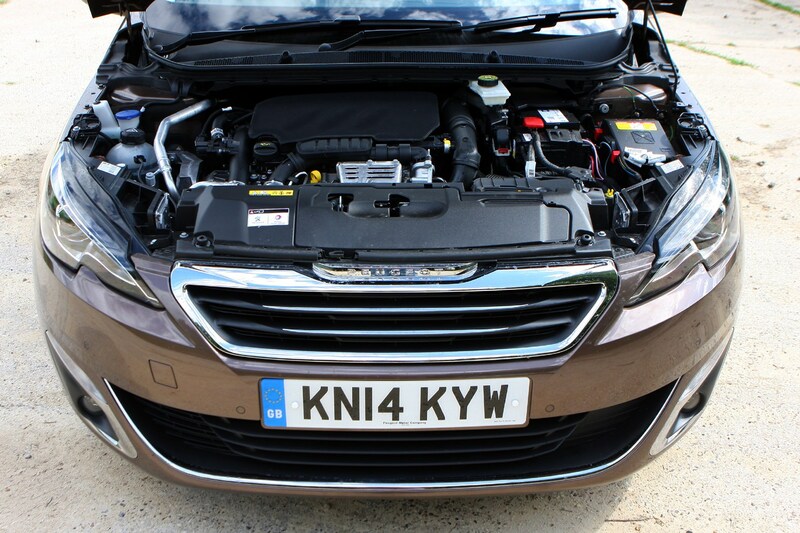 If keeping bills low is a concern then the 1.2-litre PureTech 110 makes a lot of sense – it offers almost diesel-like running costs but is cheaper to buy in the first place. 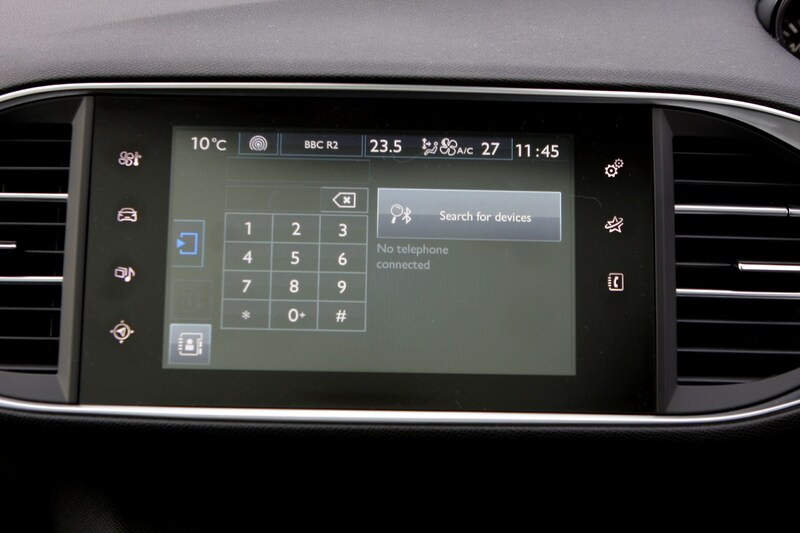 For rock bottom CO2 and BIK bills look no further than the 1.5-litre BlueHDi 130, with 93g/km it should keep the environment and your fleet manager happy. 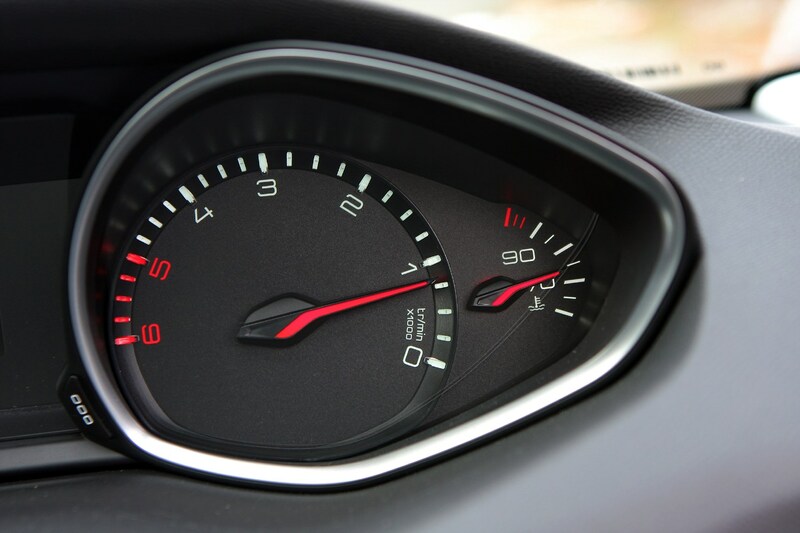 Finally, the GTi offers the best outright pace and driver involvement thanks to its powerful engine and engaging handling. 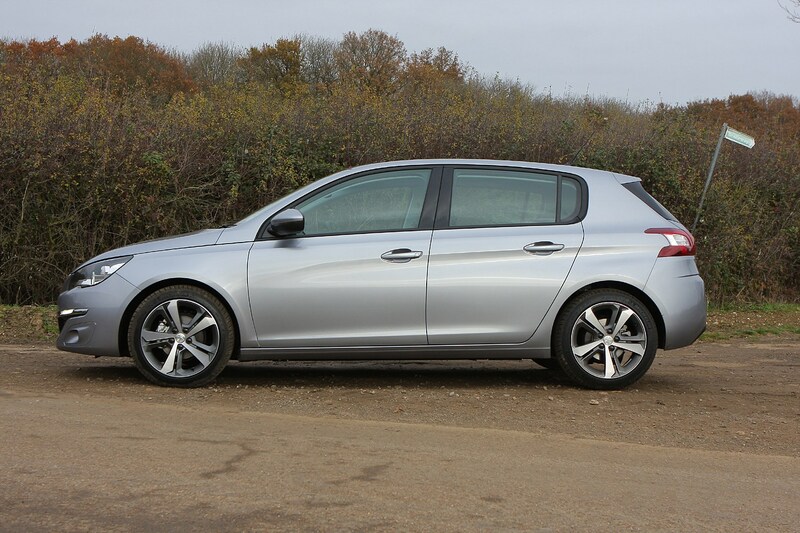 October 2013 – Second-generation 308 on sale in the UK, with deliveries starting the following January. 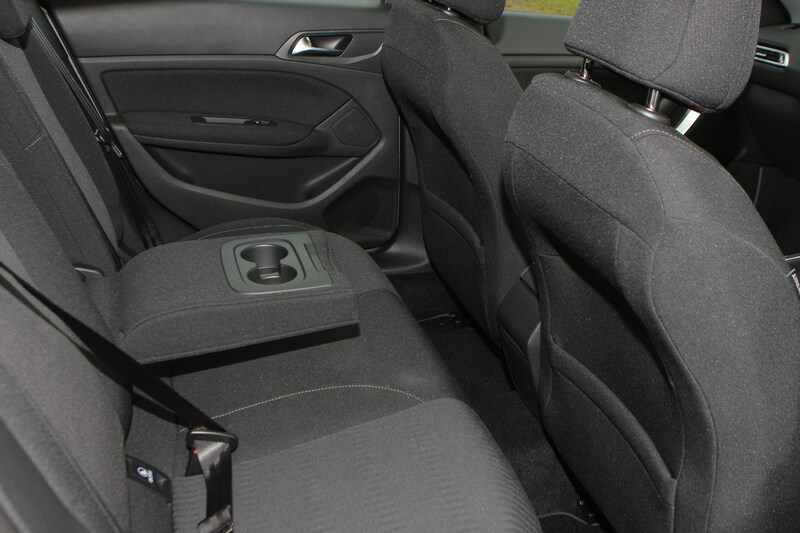 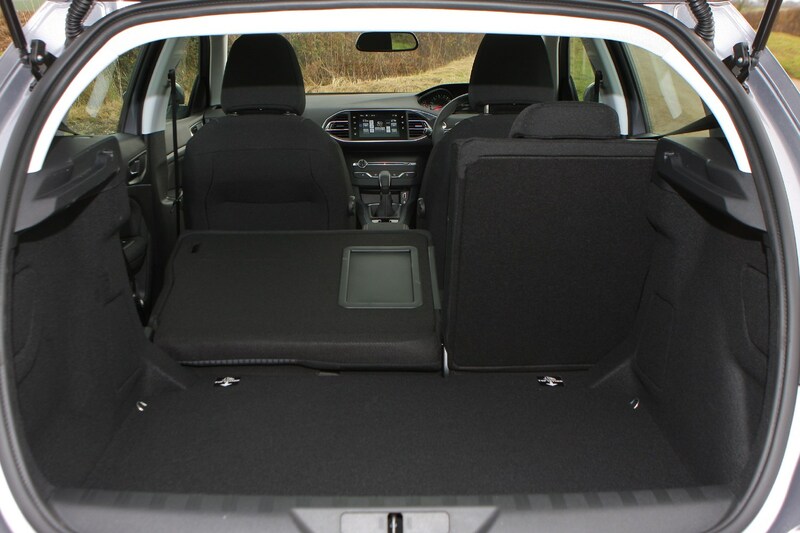 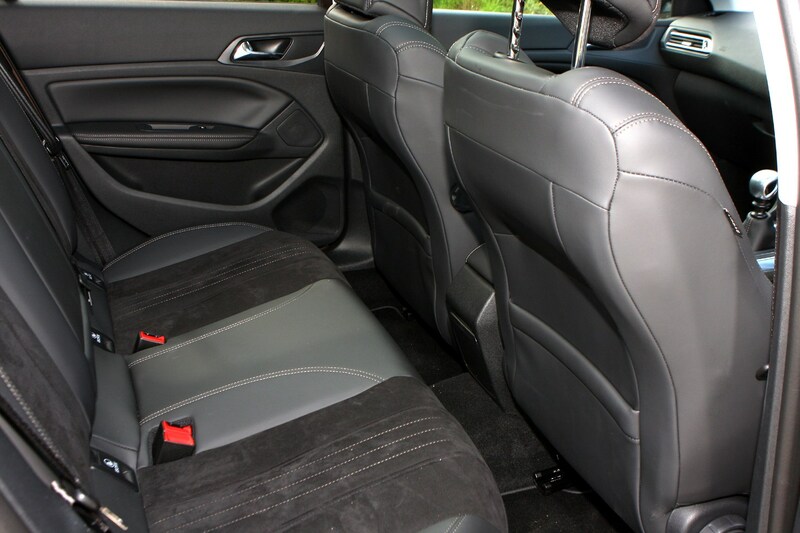 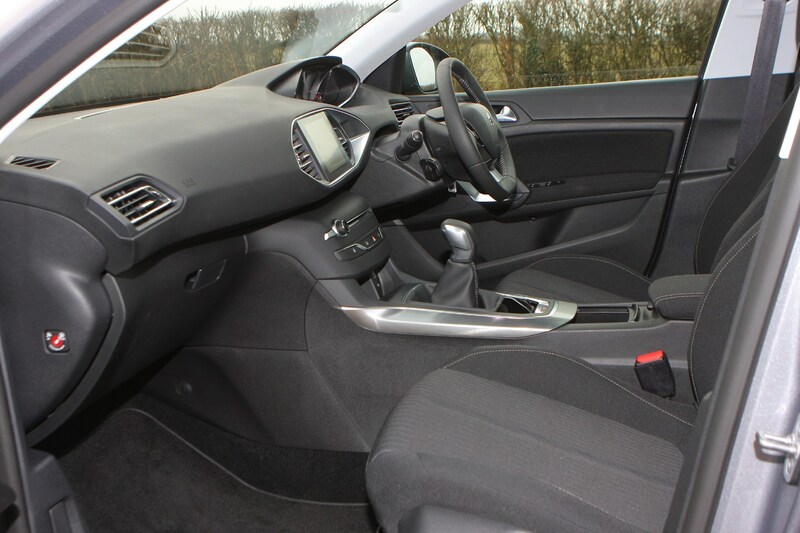 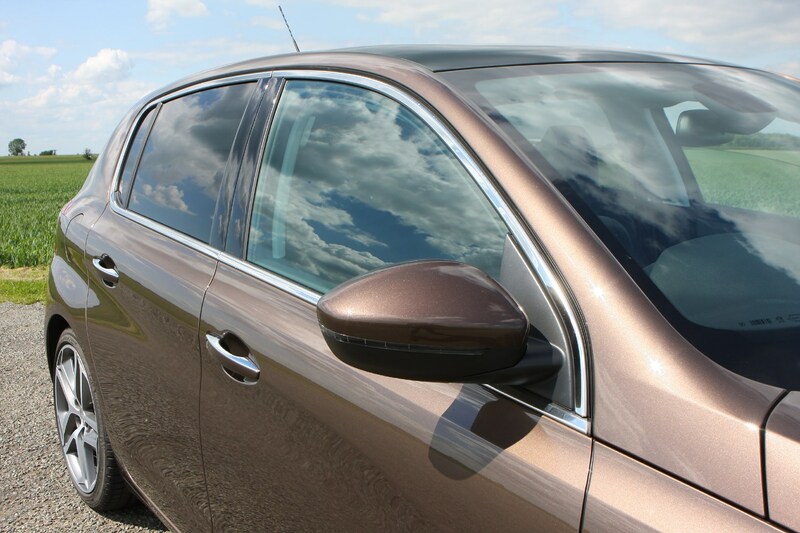 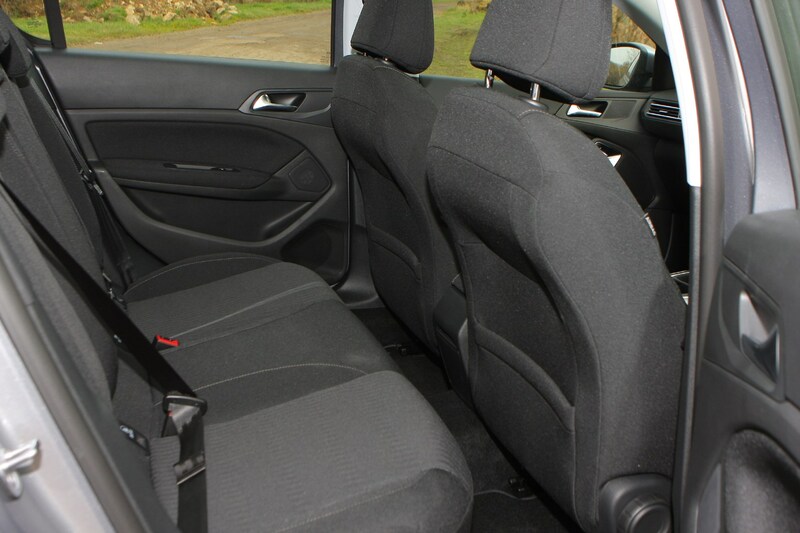 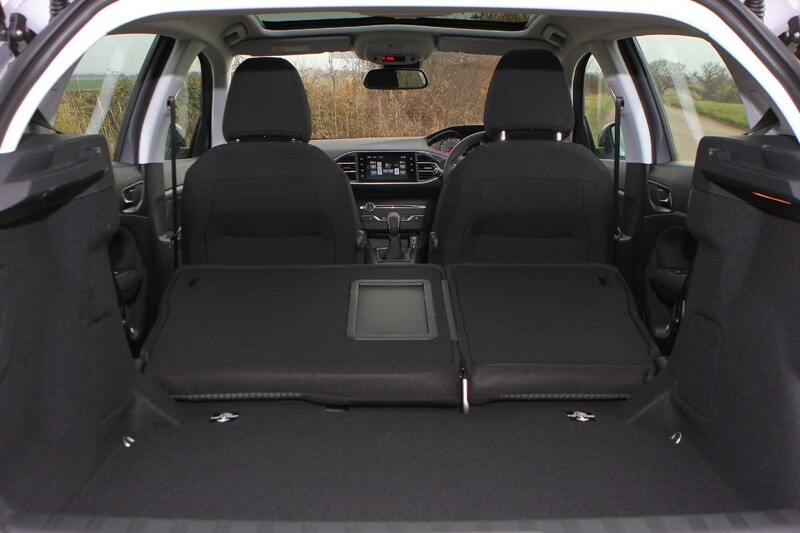 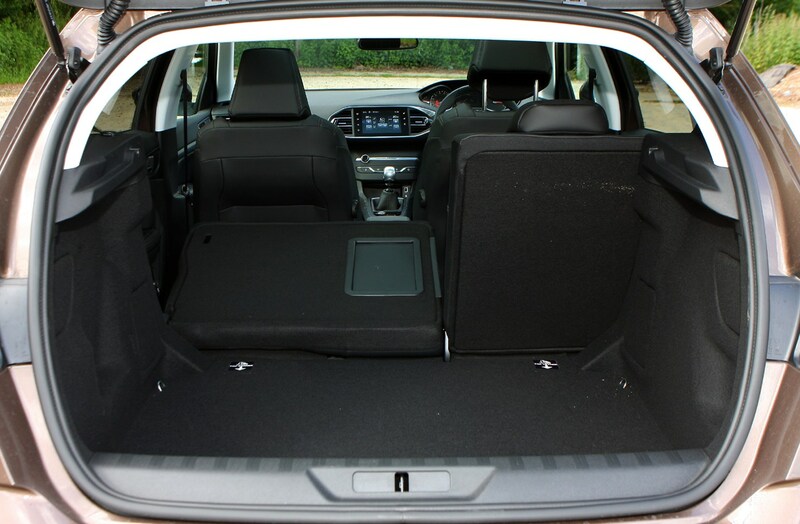 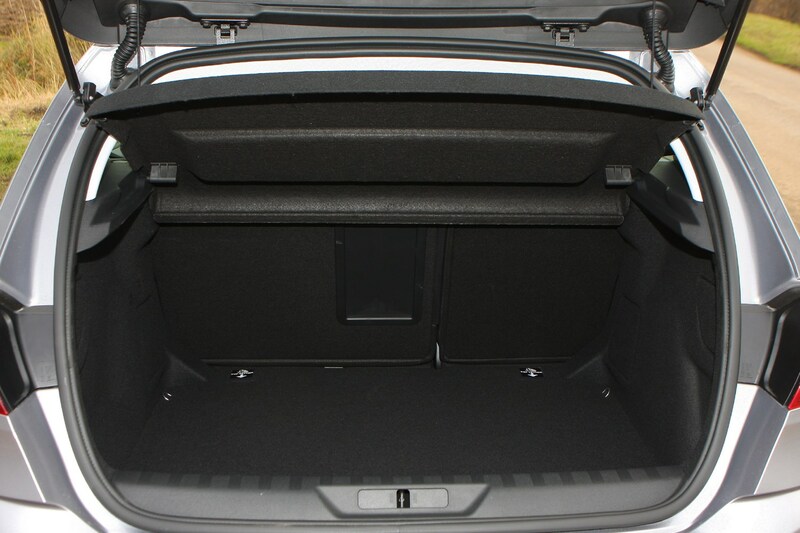 Priced from £14,495, the range consisted of Access, Active, Allure and Feline trim levels. 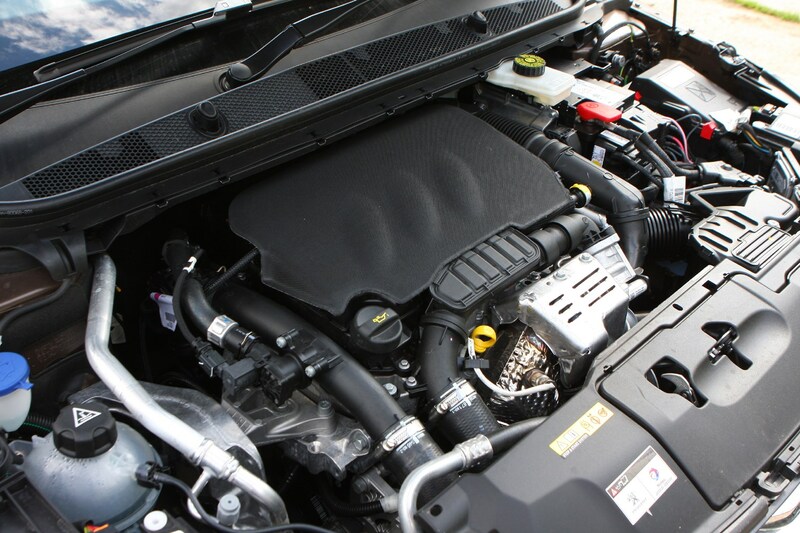 Engines available are an 82hp 1.2-litre VTi petrol, a 1.2-litre PureTech petrol in 110 and 130hp forms and a 1.6-litre THP with either 125hp or 156hp. 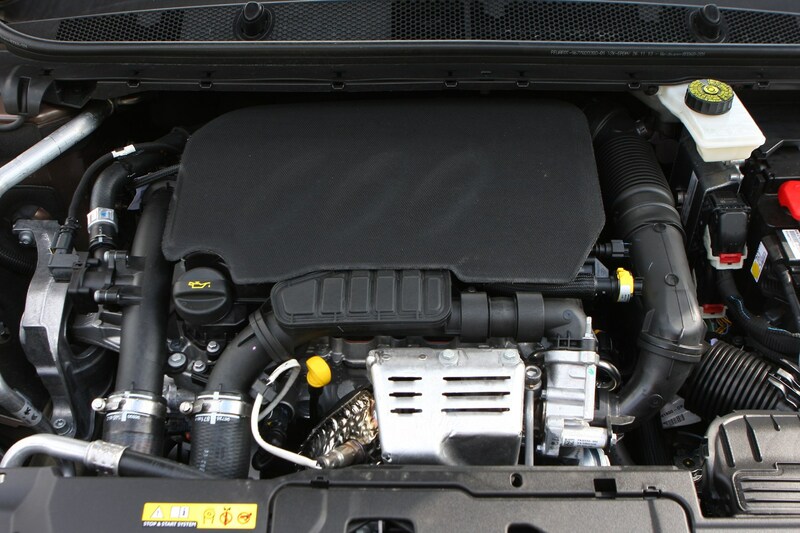 Diesels available are a 92hp 1.6-litre HDi, a 115hp 1.6 e-HDi, a 120hp 1.6 BlueHDi and 150hp 2.0 BlueHDi. 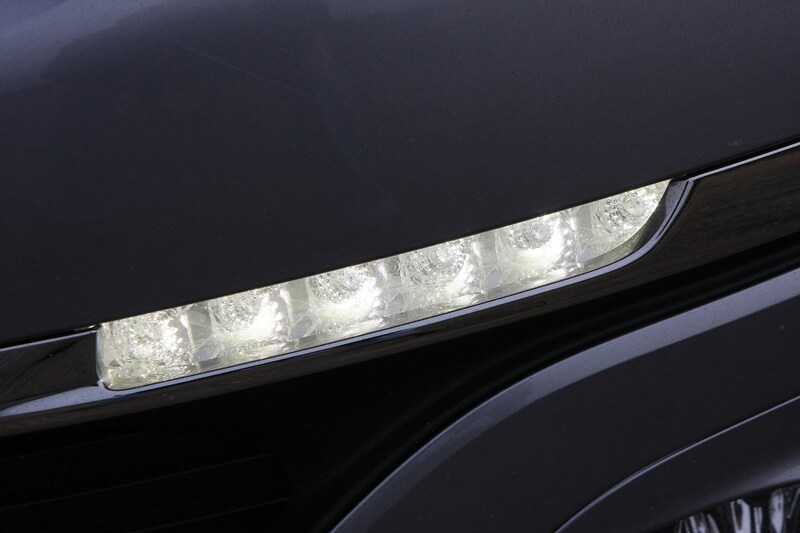 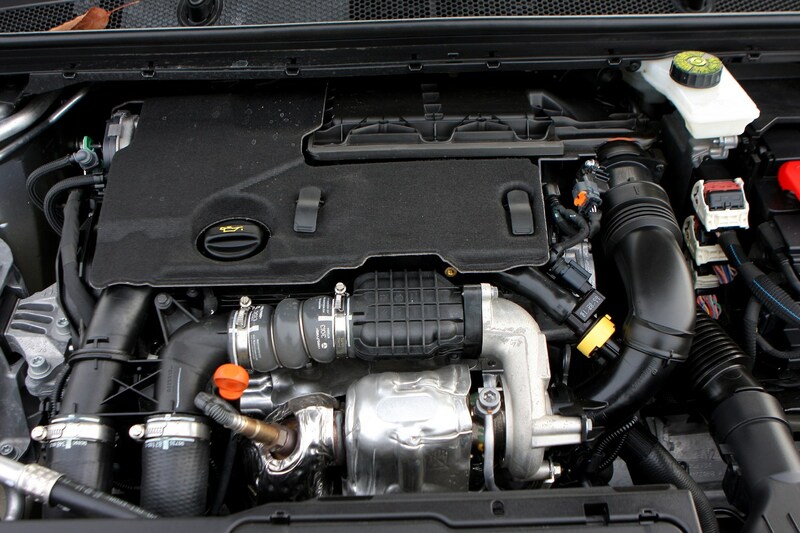 October 2014 – GT Line replaces Feline trim, and comes with a choice of five PureTech or BlueHDi engines. 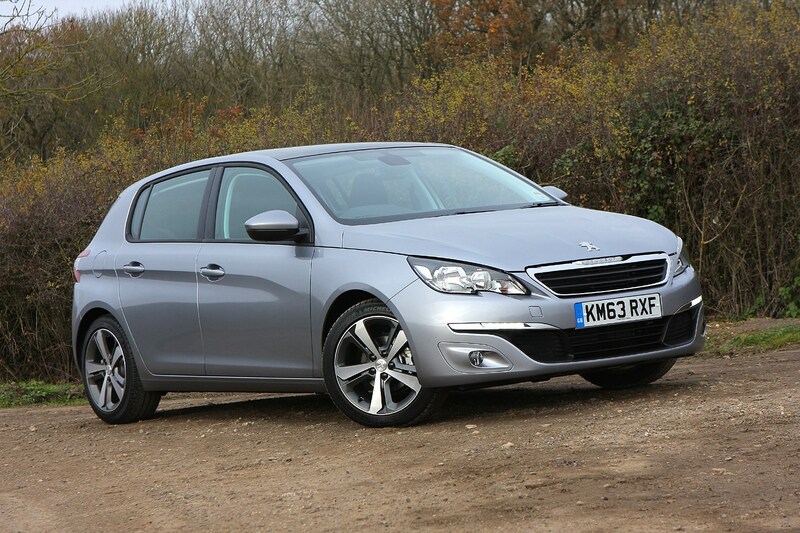 Comes with the look of higher-spec GT models but with lower running costs, thanks to the smaller-capacity engine range. 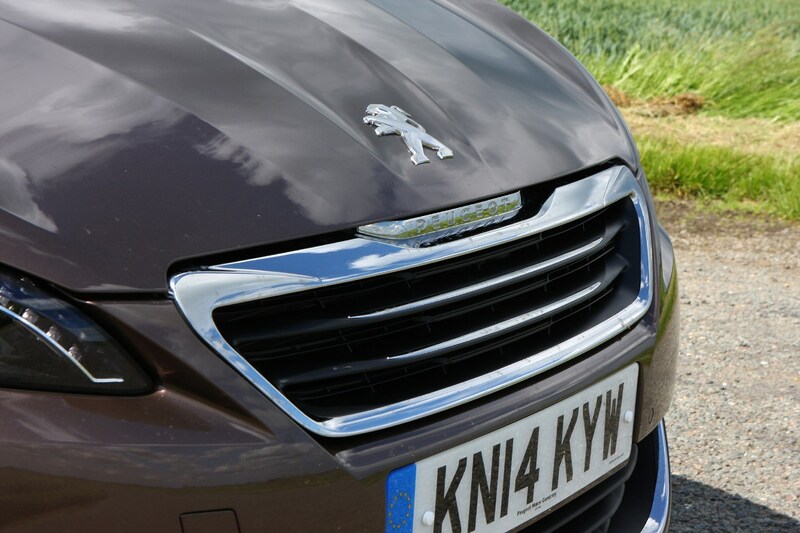 Sportium limited edition also added to the range, sitting between Access and Active, it’s introduced to promote the PureTech petrol engines. 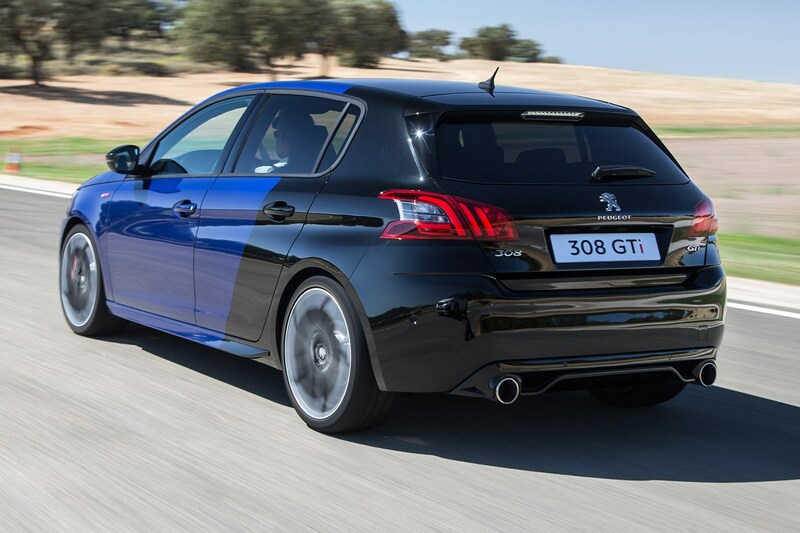 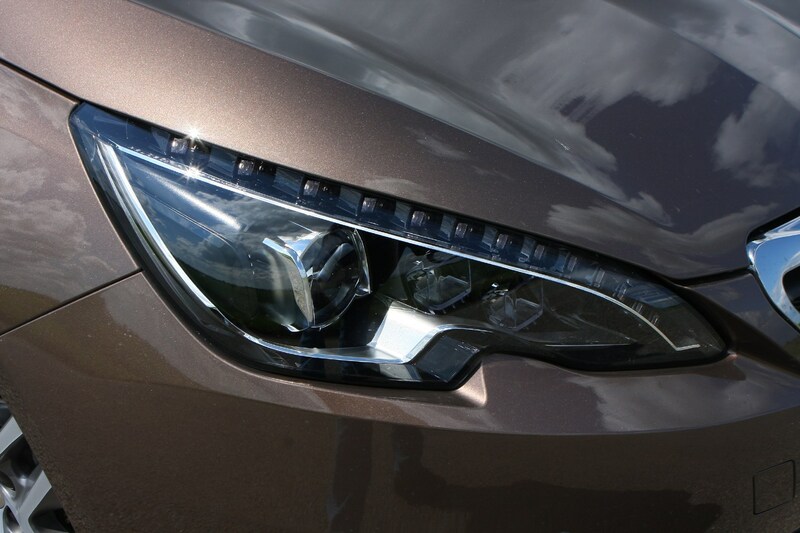 November 2014 – GT specification available to order, with first deliveries in January. 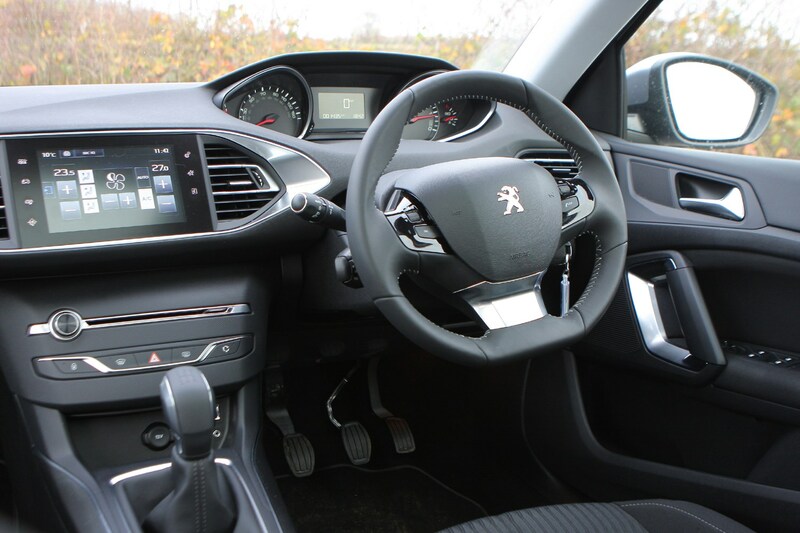 Choice of 1.6 THP 205 petrol manual and 2.0 BlueHDi 180 diesel automatic powertrains, it comes with a slightly more sporty look with more aggressive bumpers, larger alloy wheels and sports front seats. 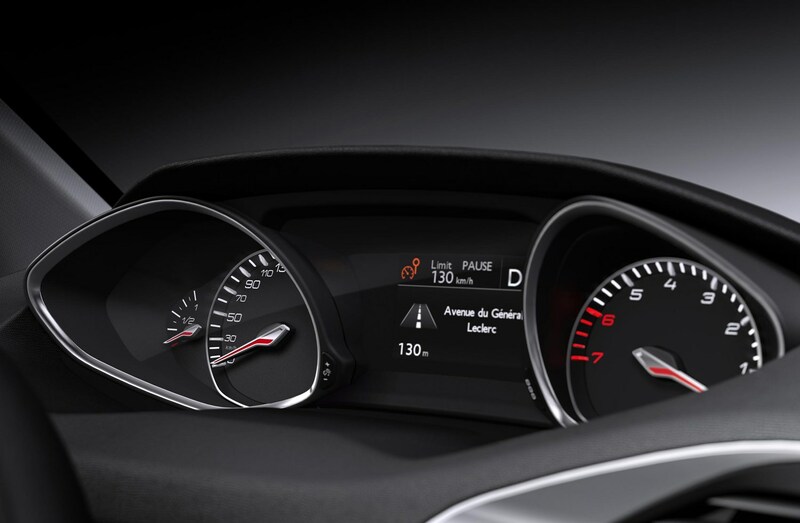 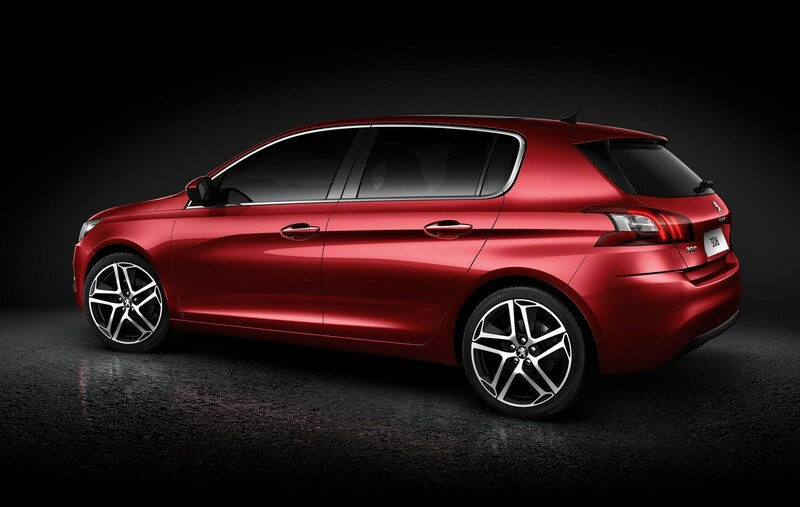 November 2015 – Peugeot 308 GTi by Peugeot Sport added to the range, with a choice of 250hp or 272hp versions of the 1.6-litre turbocharged petrol engine. 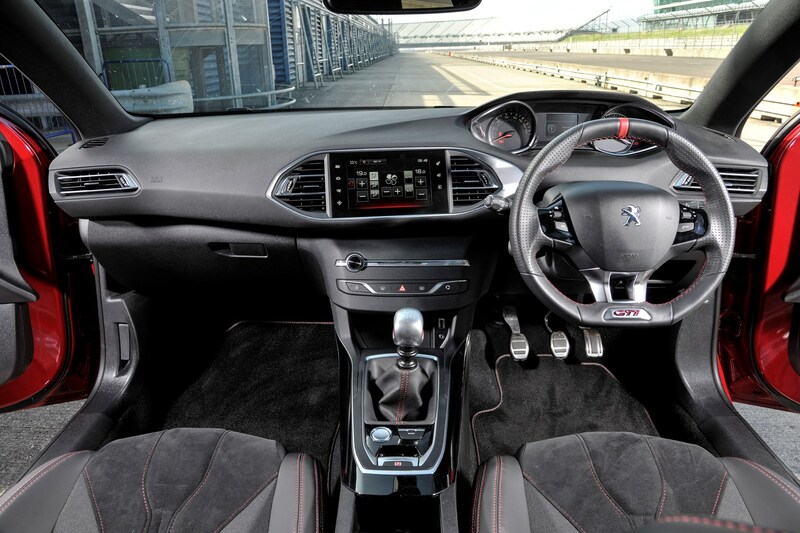 0-62mph in 6.0 seconds and a top speed of 155mph. 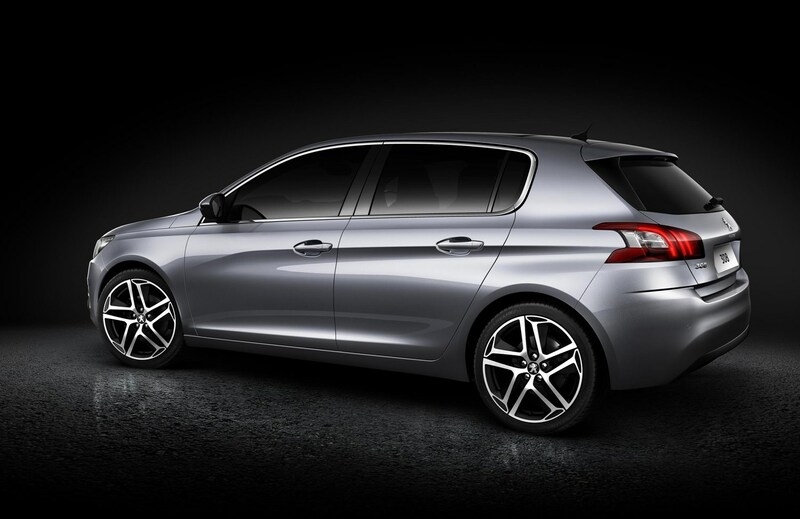 May 2017 – Facelifted Peugeot 308 announced with first deliveries in September. 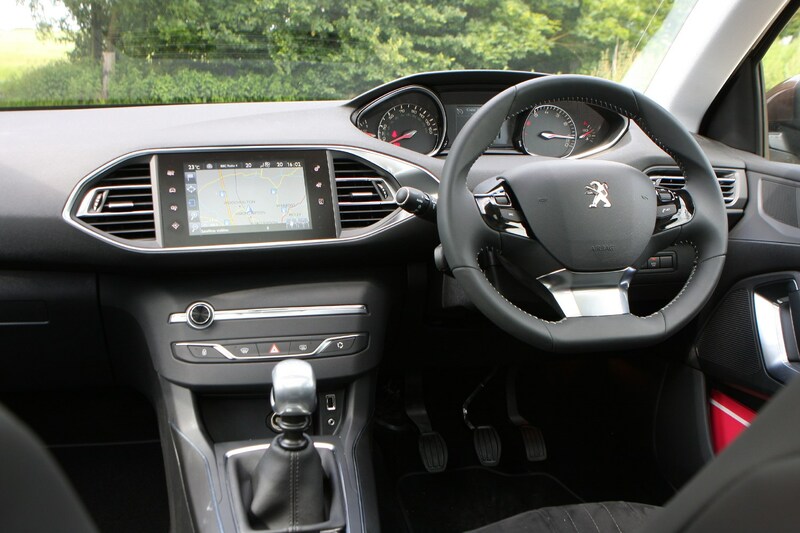 Subtle tweaks to the styling and new infotainment system inside, plus the addition of a new 1.5-litre BlueHDi 130 diesel engine and eight-speed automatic gearbox on BlueHDi 180 models. 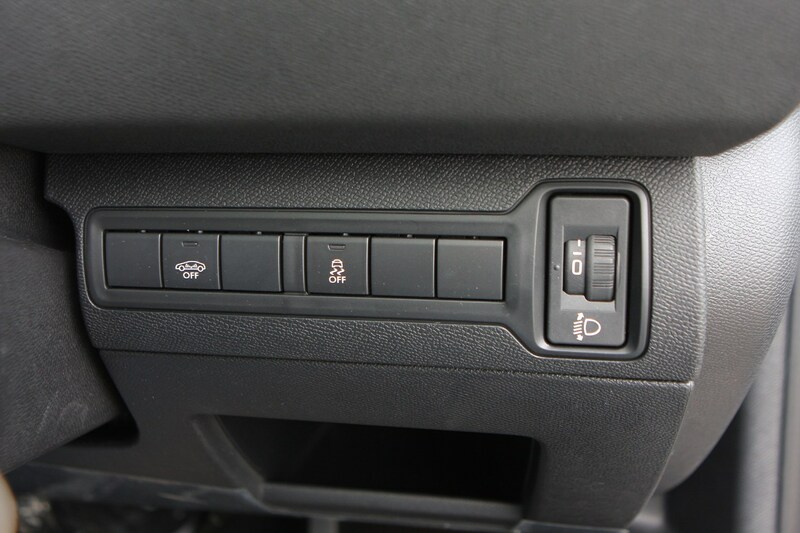 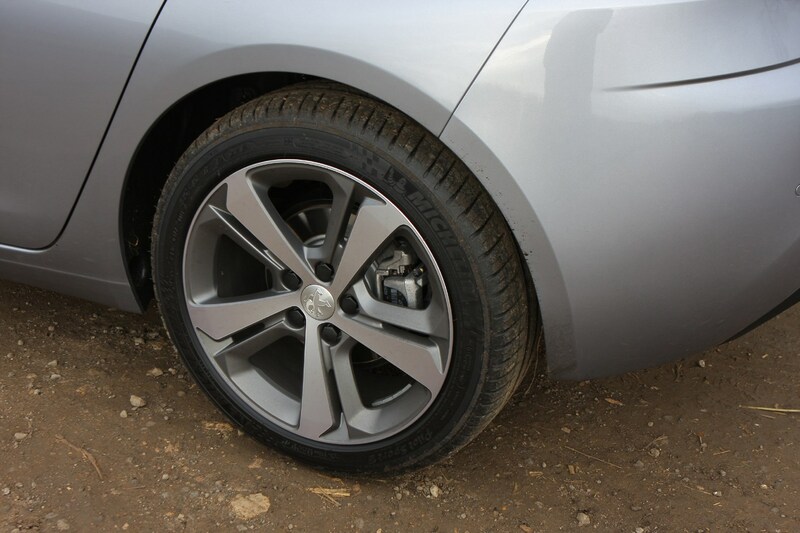 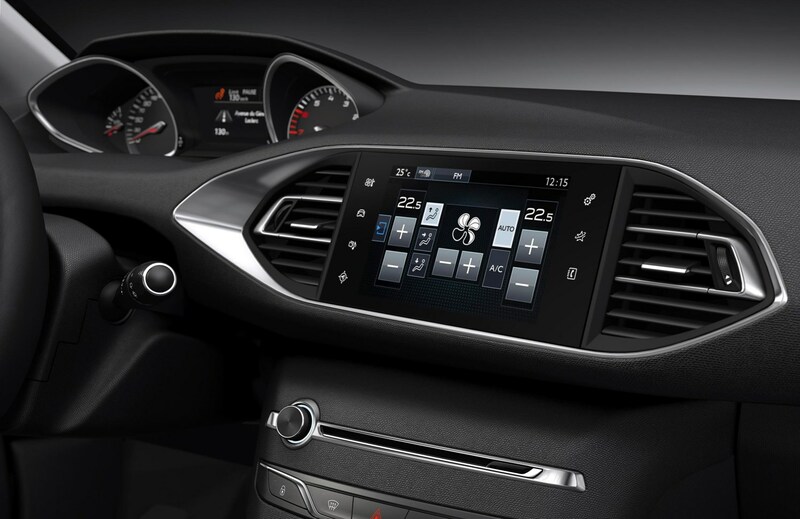 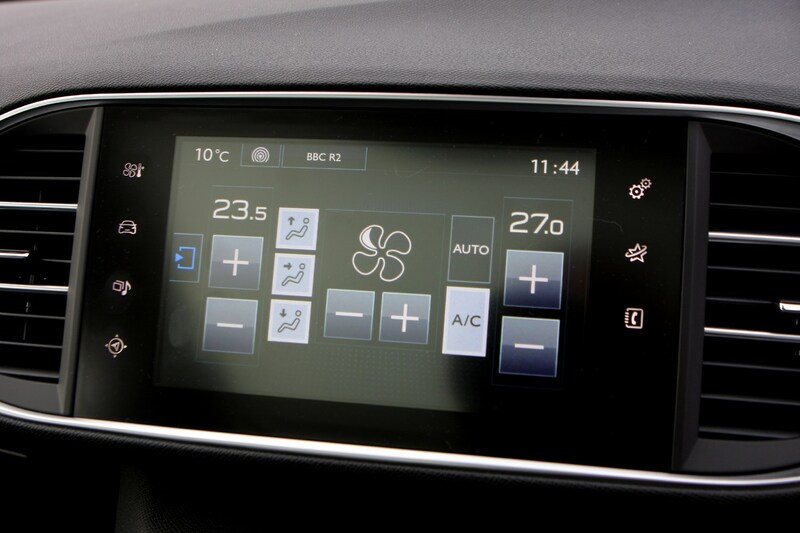 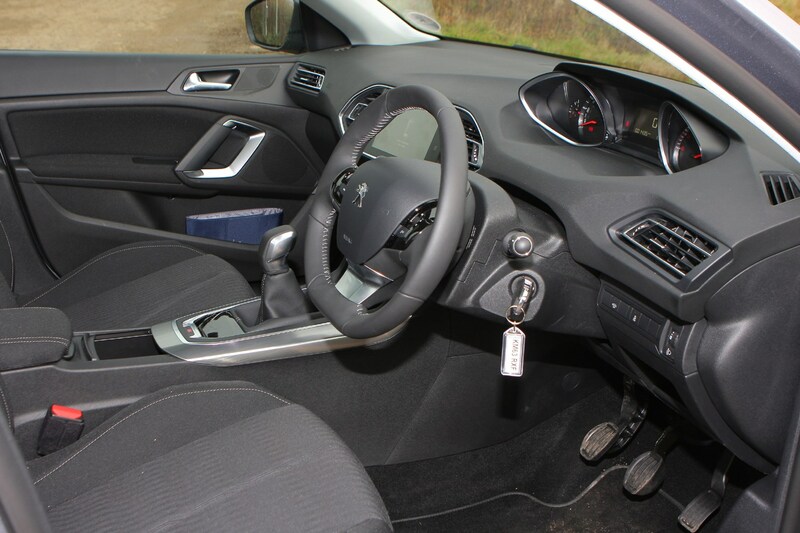 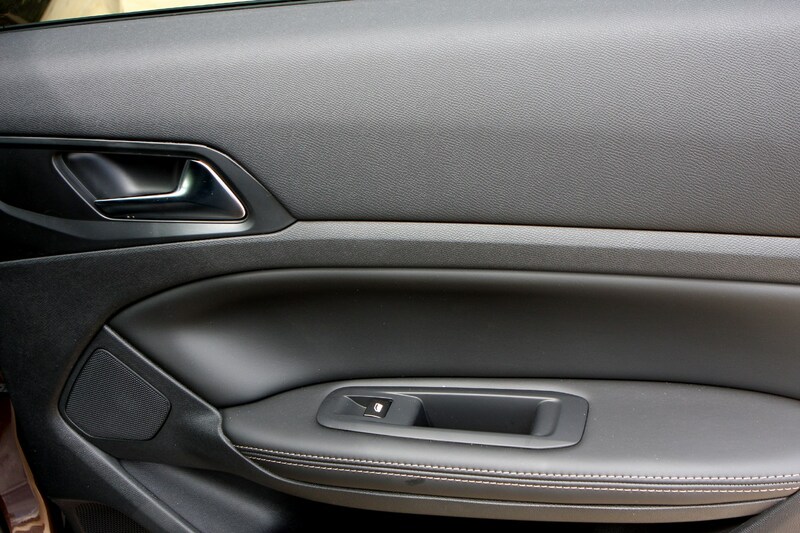 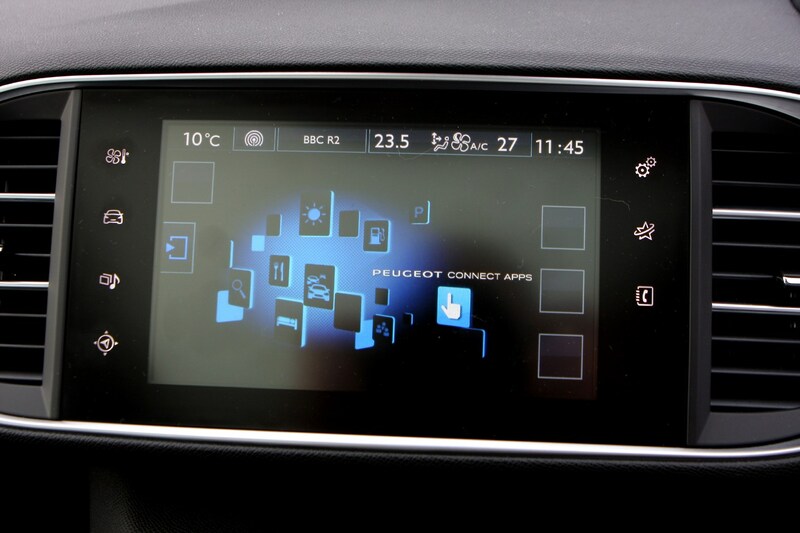 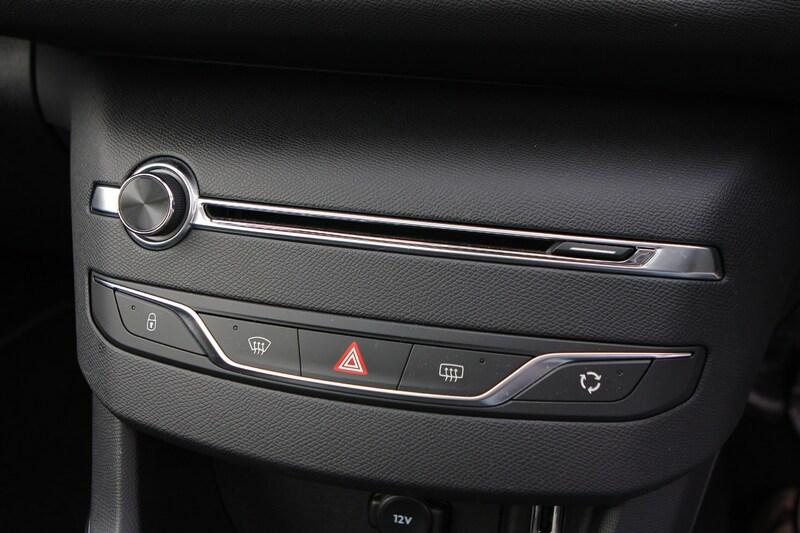 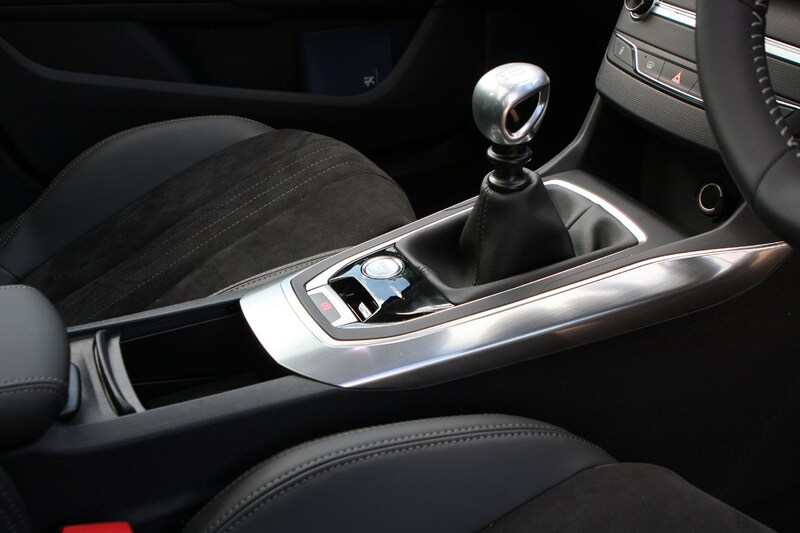 All models come with a central touchscreen, alloy wheels and air-con. 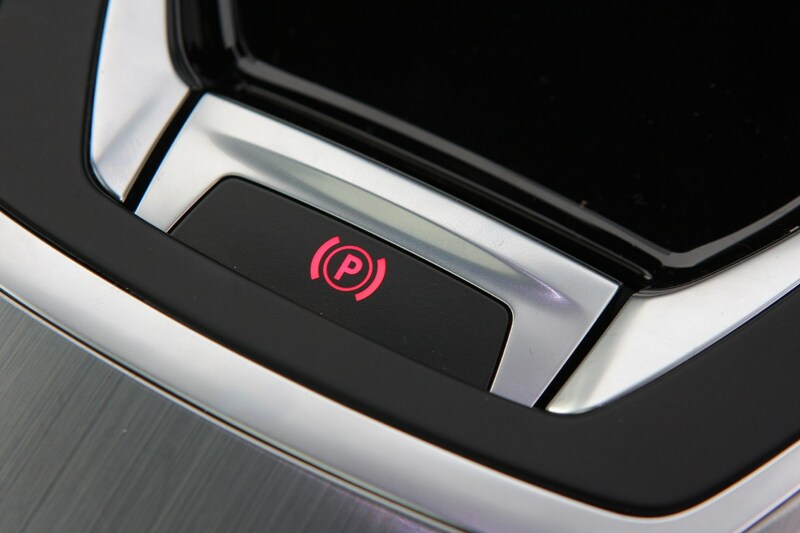 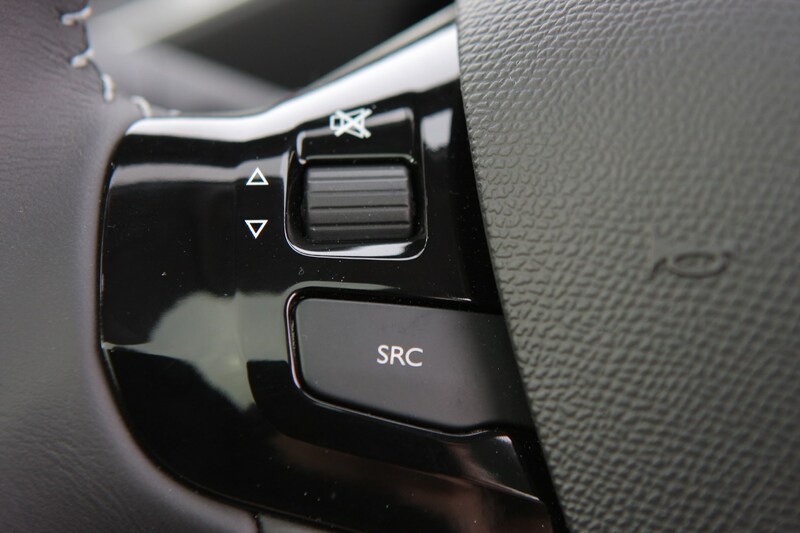 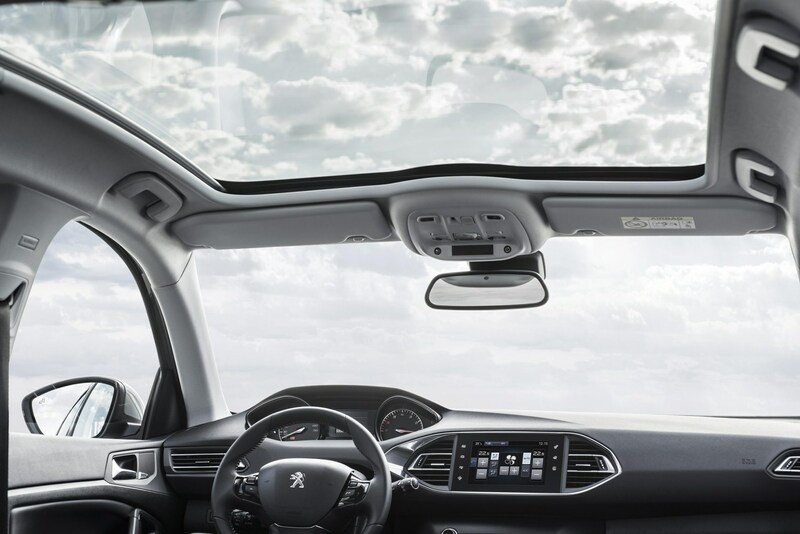 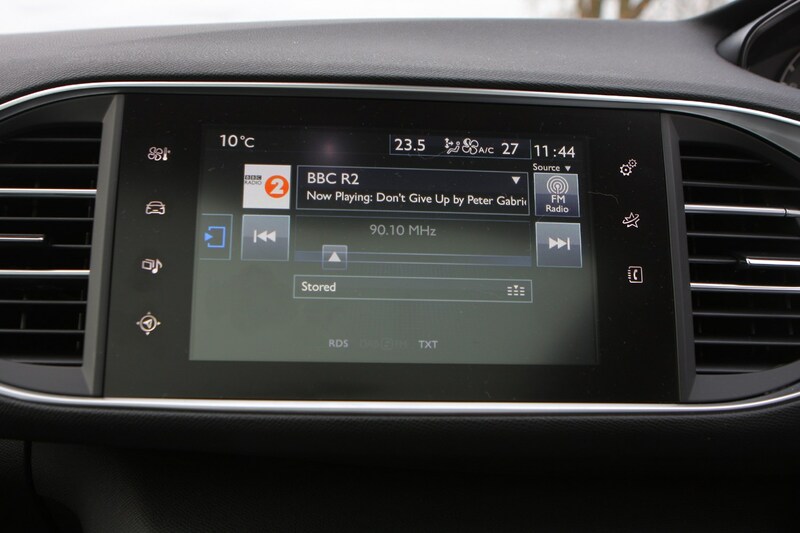 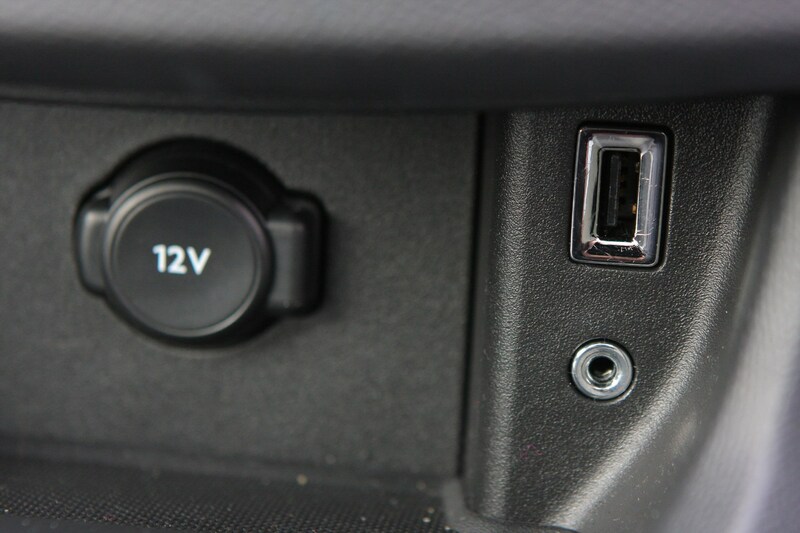 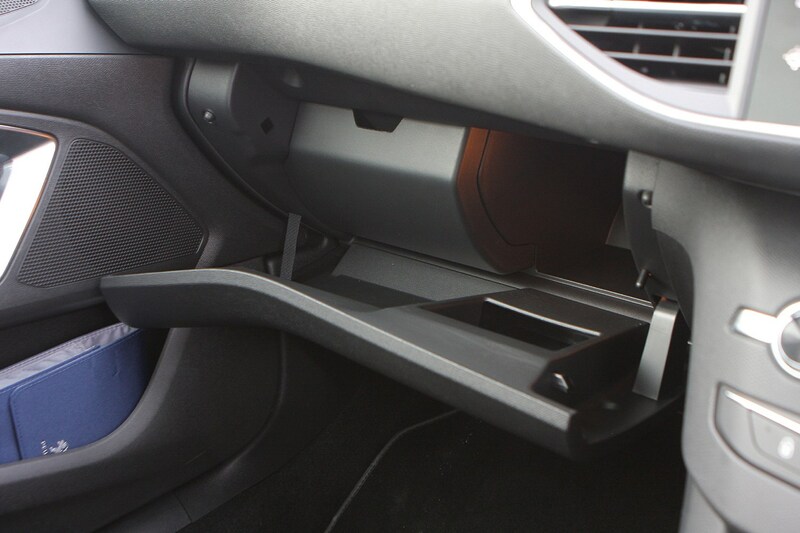 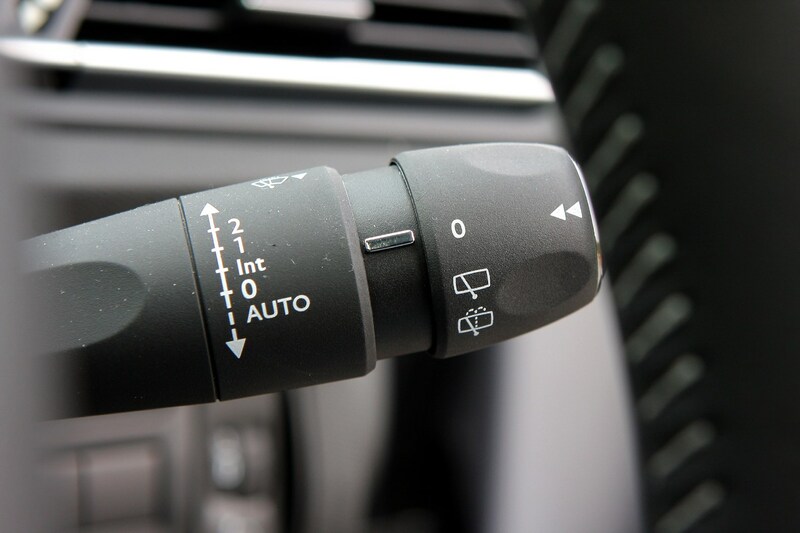 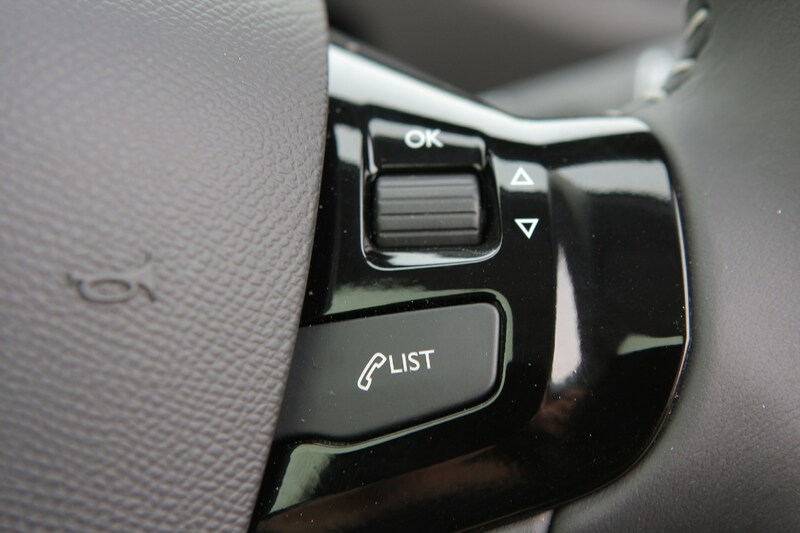 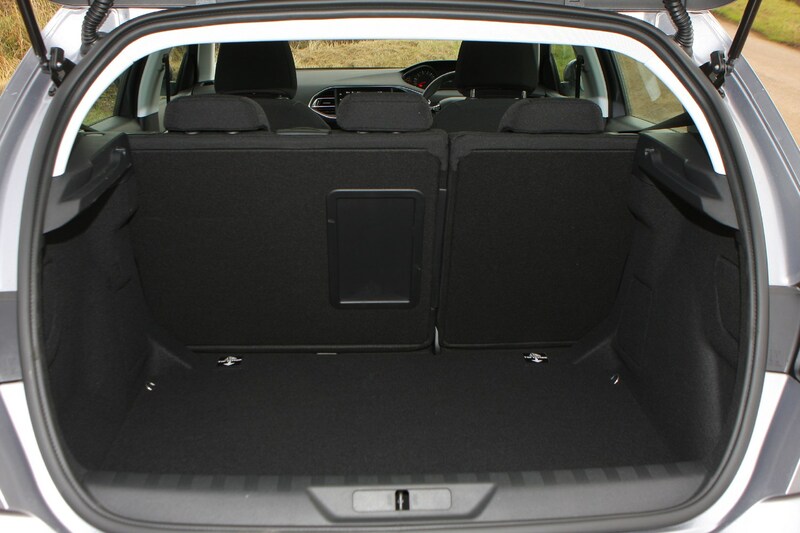 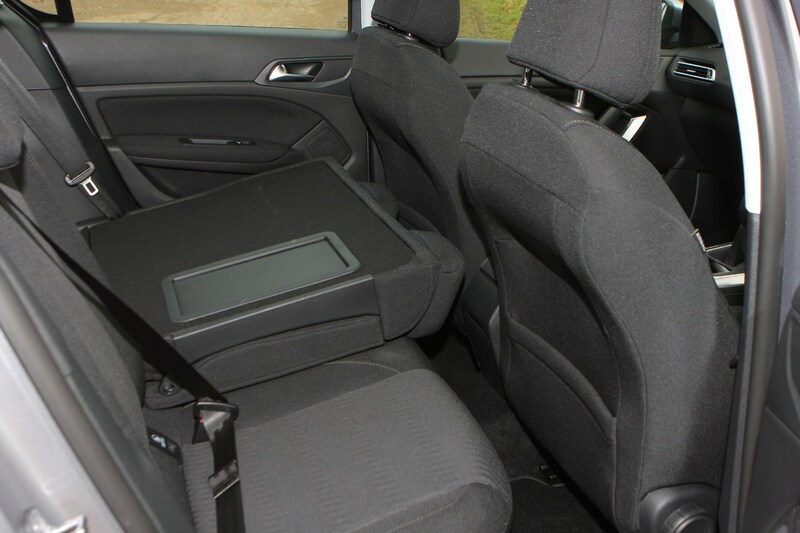 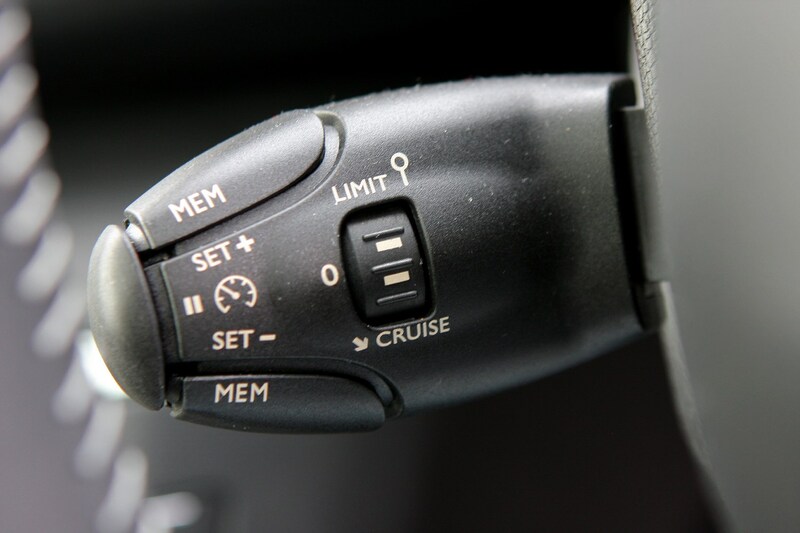 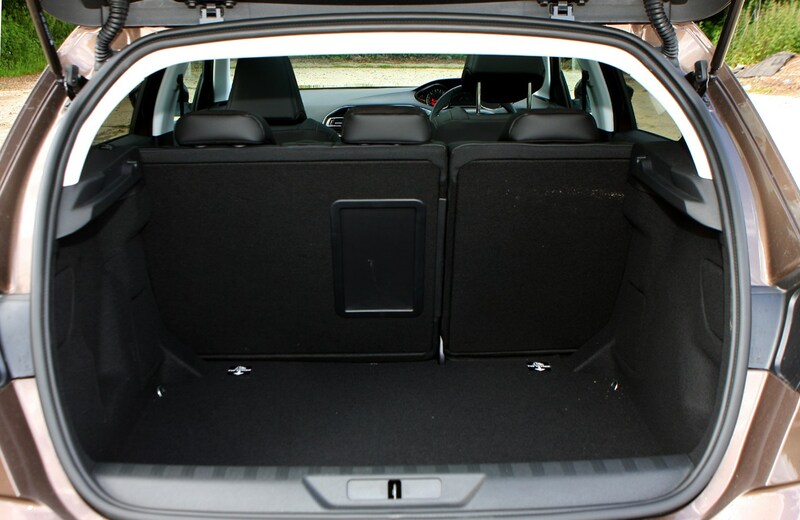 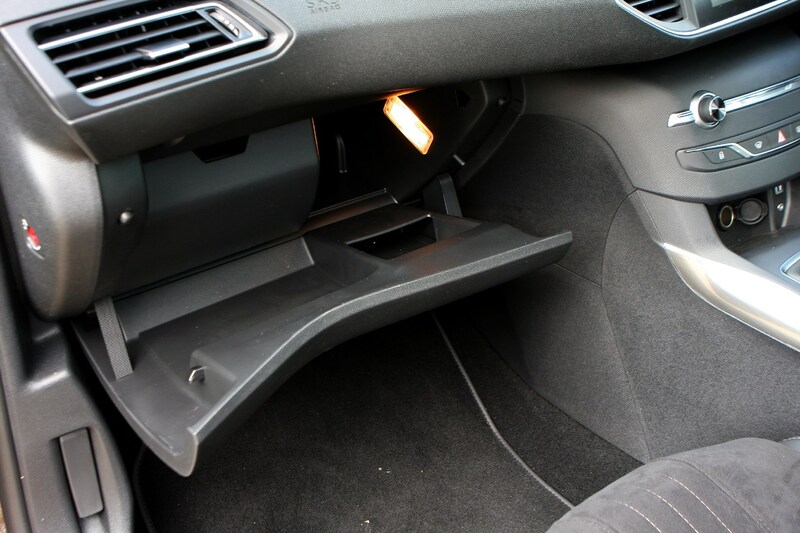 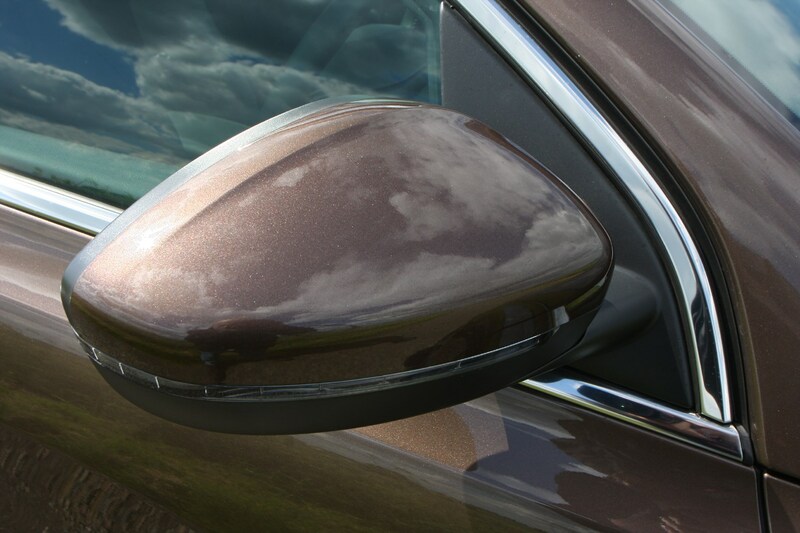 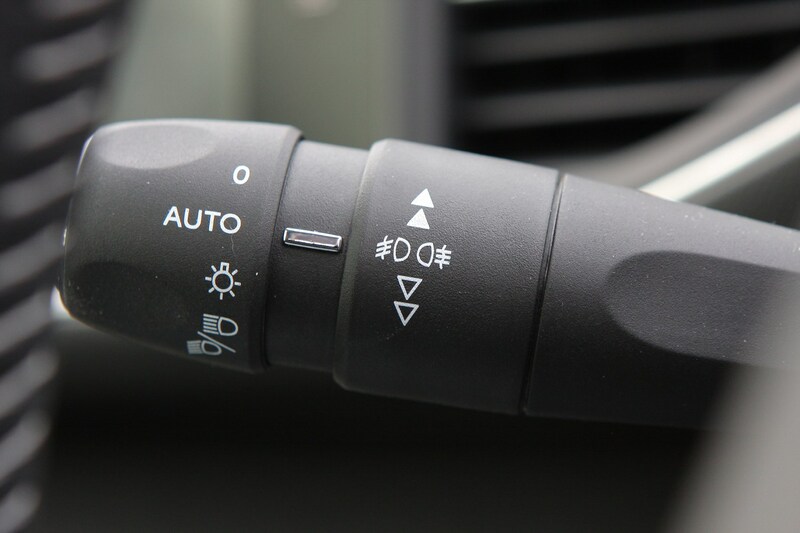 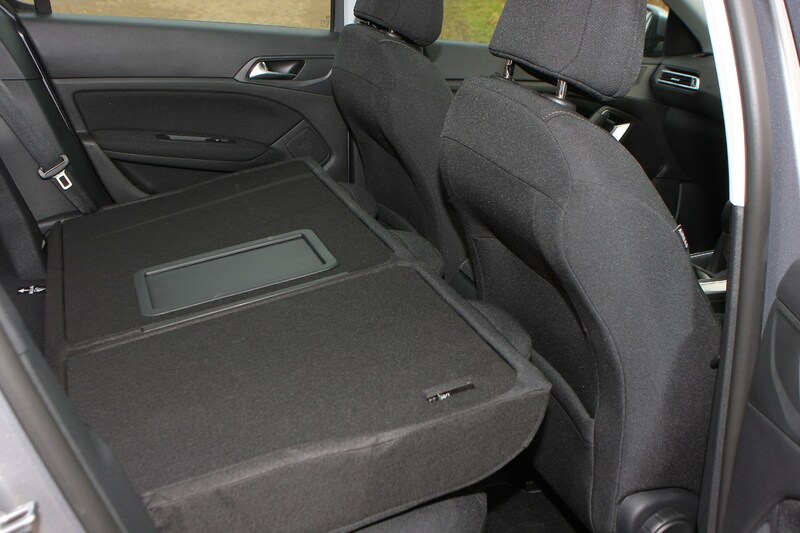 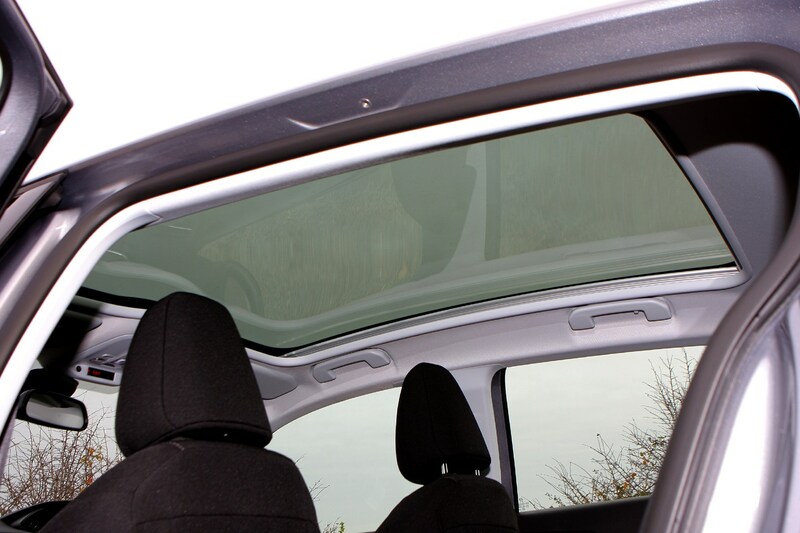 Extras worth considering are the panoramic sunroof (standard on the range topping models), driver assistance pack for enhanced safety systems and, if you have kids glued to tablets, the 3G dongle that can provide wi-fi connection. 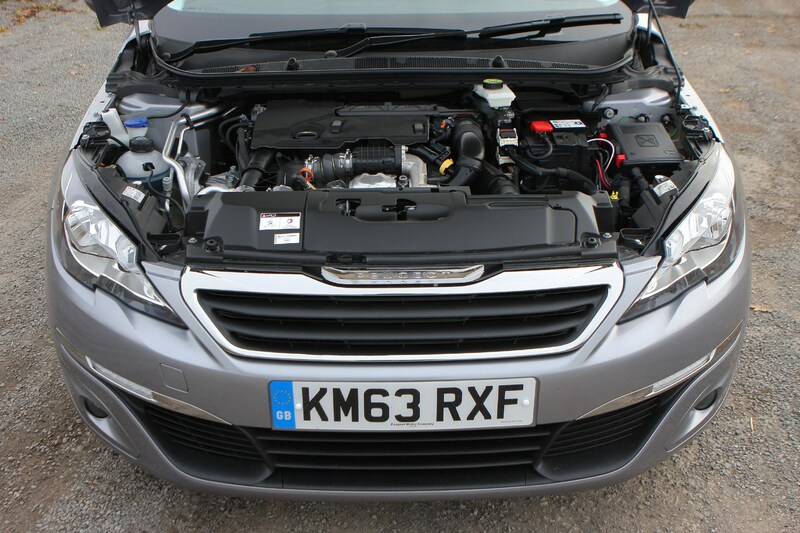 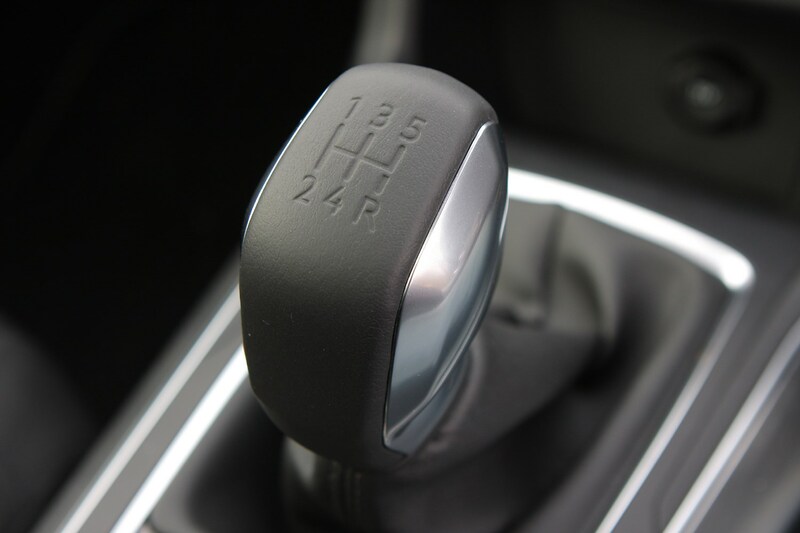 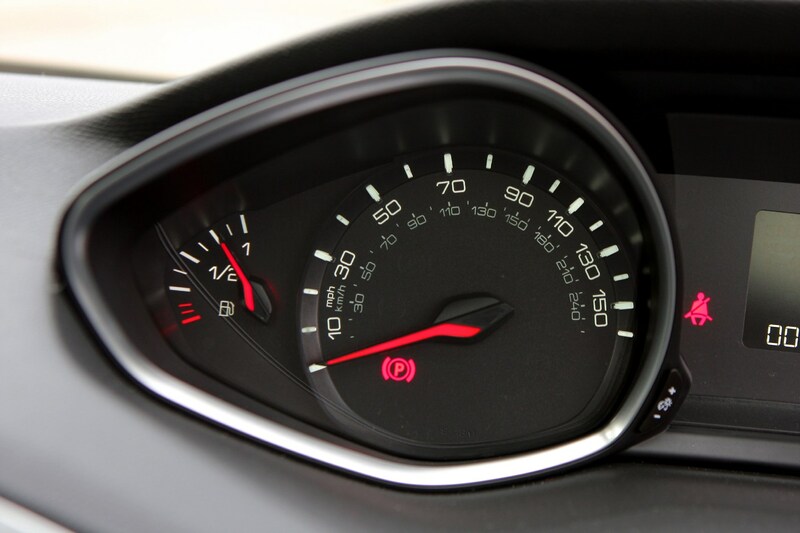 Car buyers covering 12,000 miles or less should consider a petrol engine with the 1.2-litre version proving must frugal, while the 1.5-litre offers better performance. 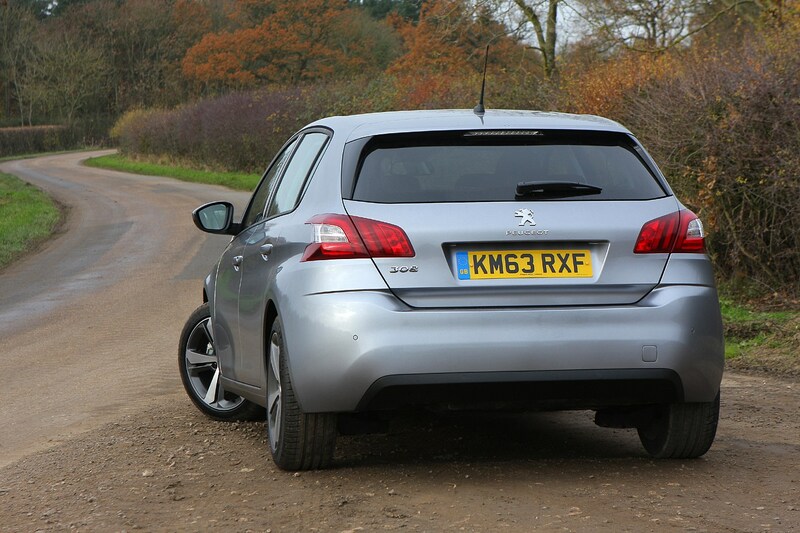 There will be a lot of ex-fleet examples on the market especially if it’s a diesel. 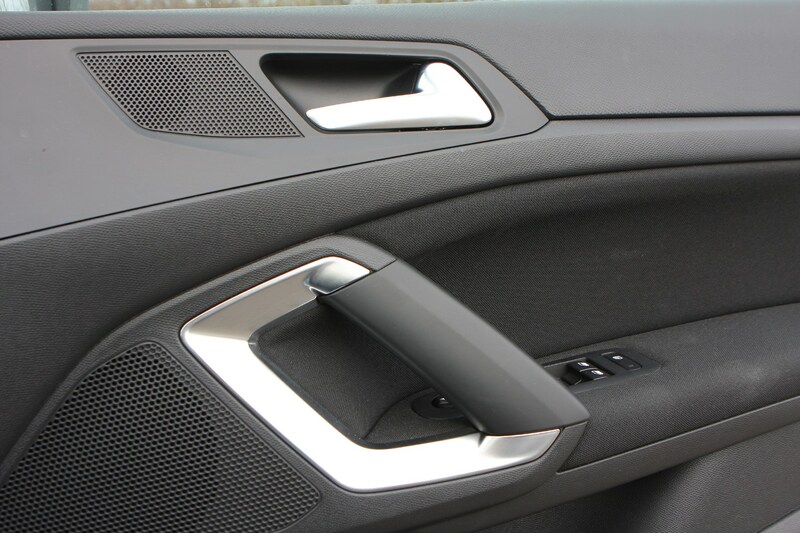 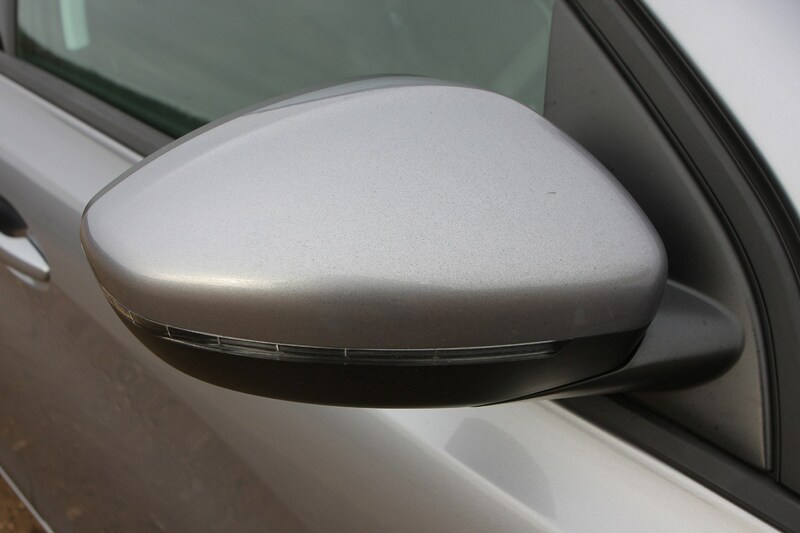 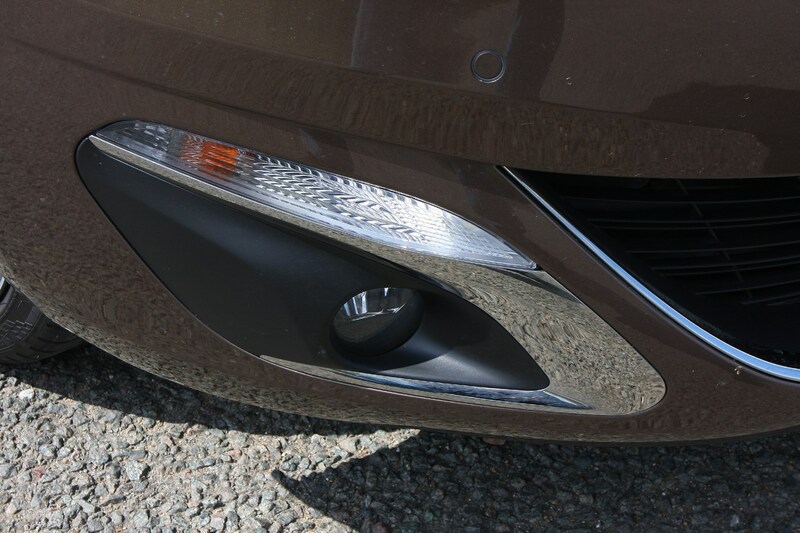 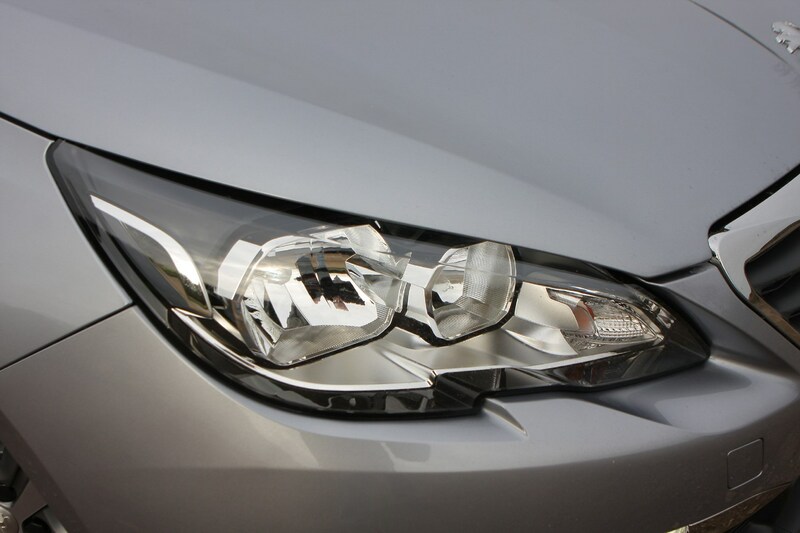 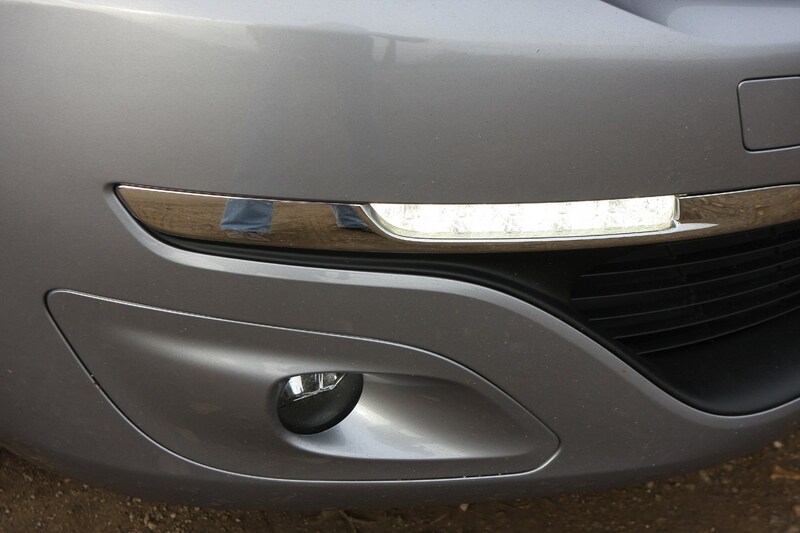 These are generally well looked after and serviced on time but check trim fit and finish, and look for any bumps or scrapes that haven’t be fixed. 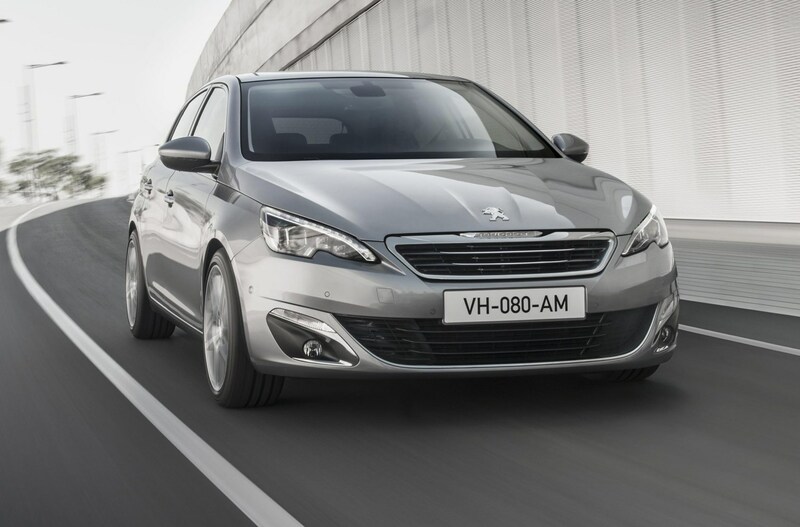 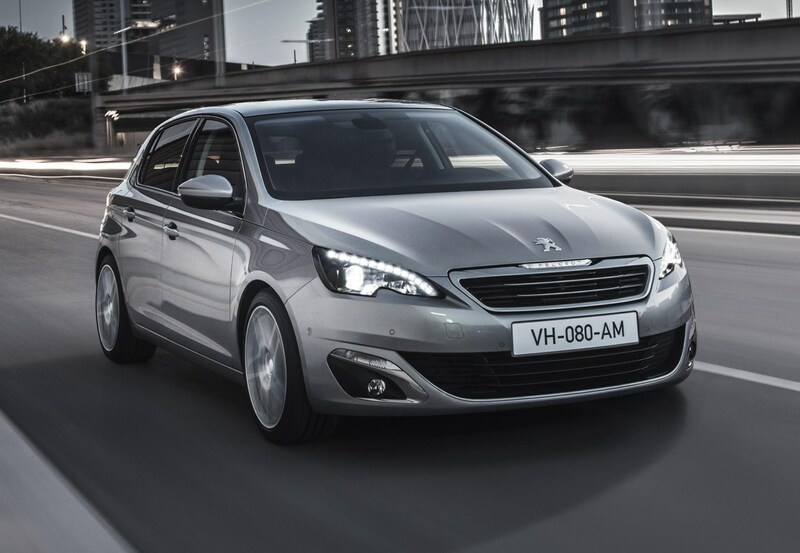 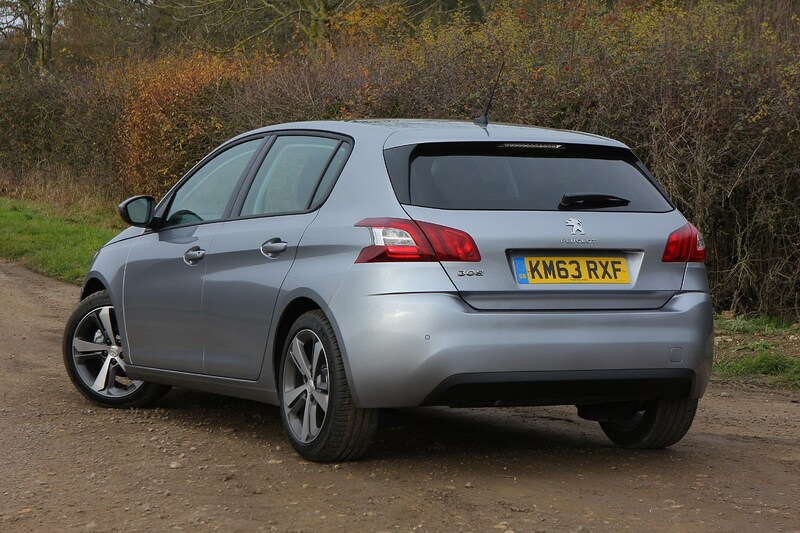 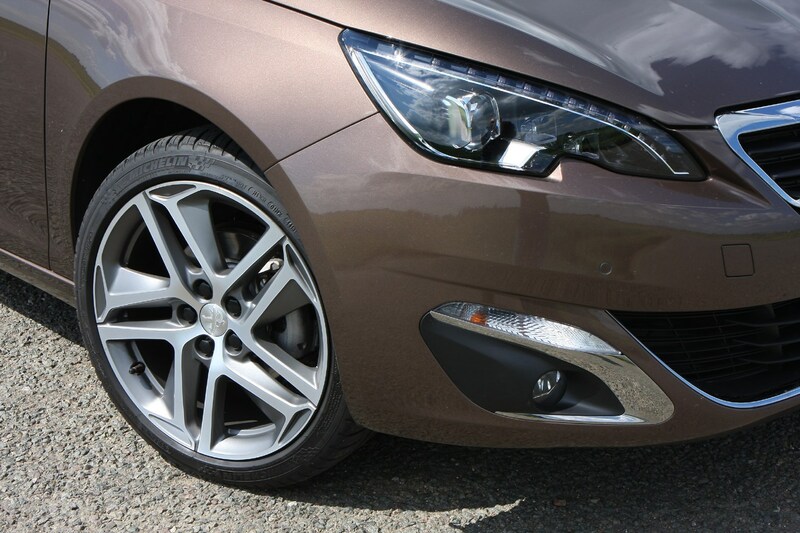 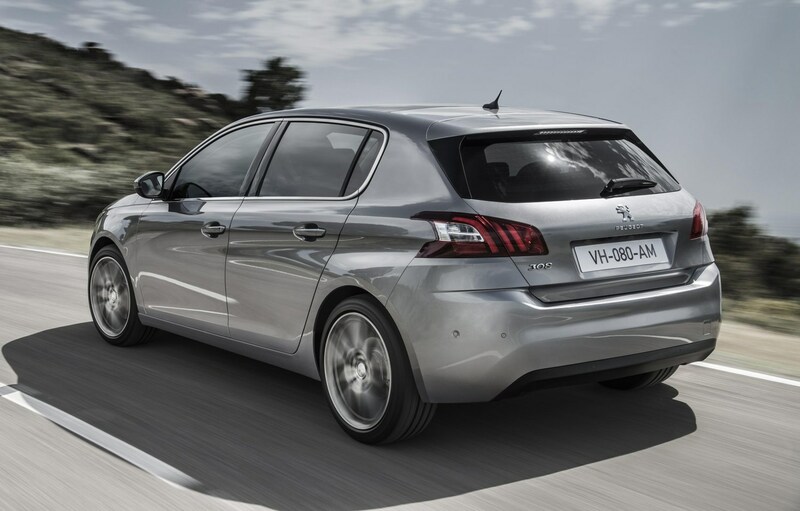 The quality of this new generation 308 is much improved so second-hand prices are likely to be stronger. 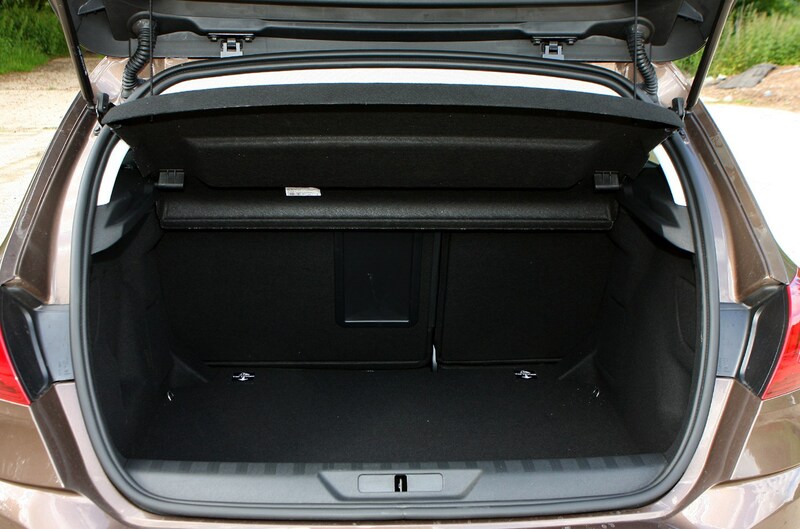 Make sure you shop around for the best deal. 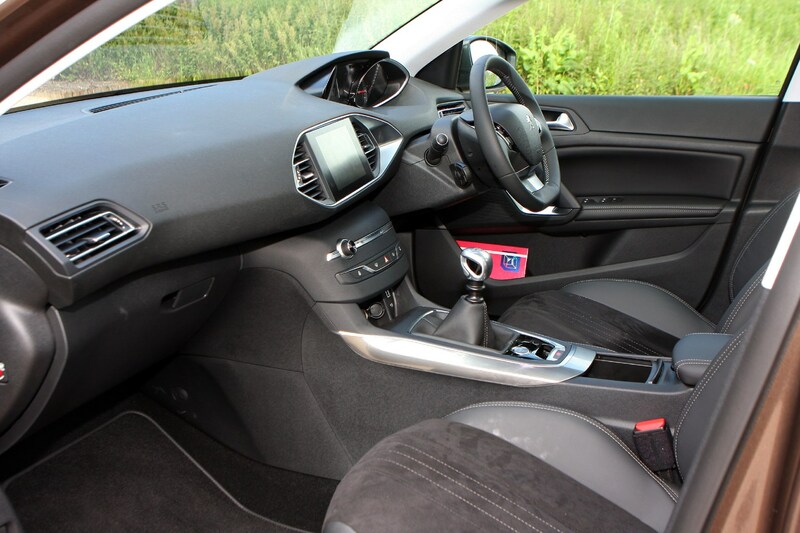 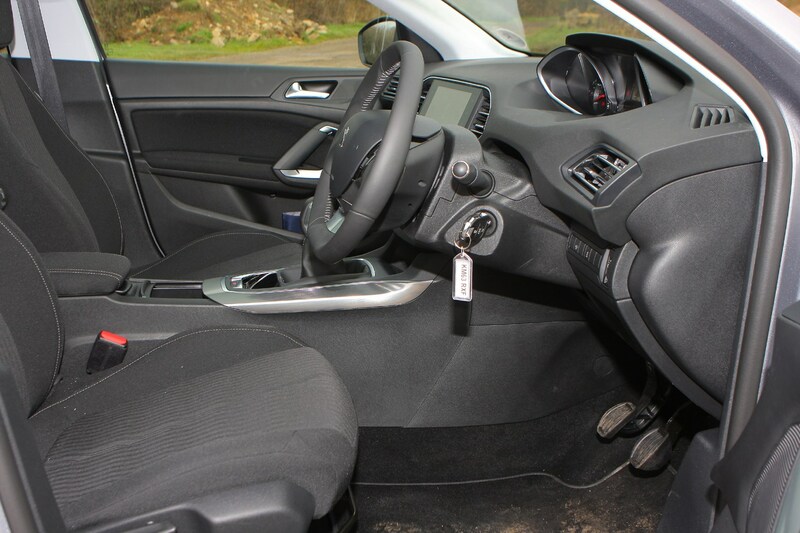 Allure and Active are likely to be the most numerous, avoid buying the entry-level Access version unless it is bargain bucket cheap as it doesn’t come with the very useful central touchscreen or electric parking brake, plus it features steel wheels as standard. 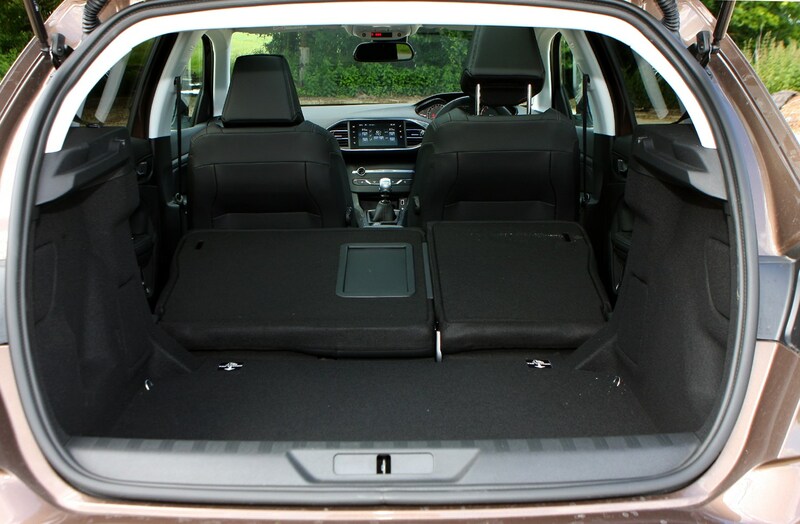 The Feline packs the most kit as standard. 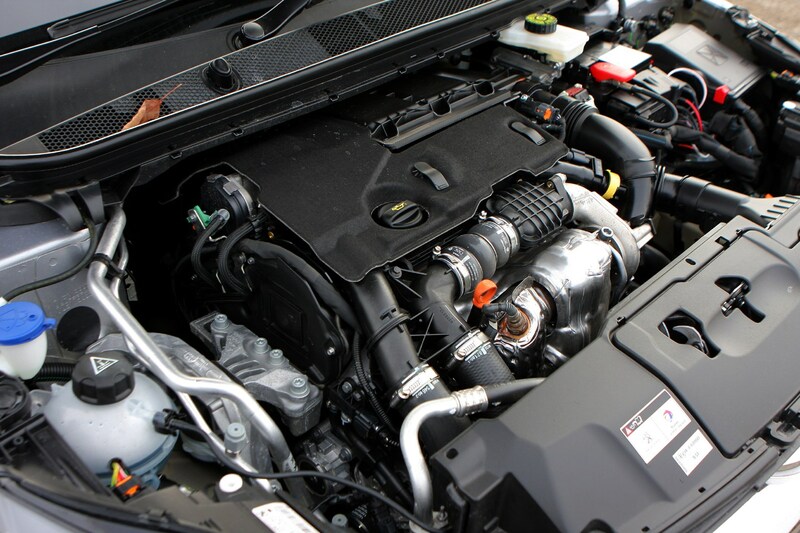 Whichever one you go for make sure you check it out thoroughly, ask for a full service history and get a Parkers Car History Check. 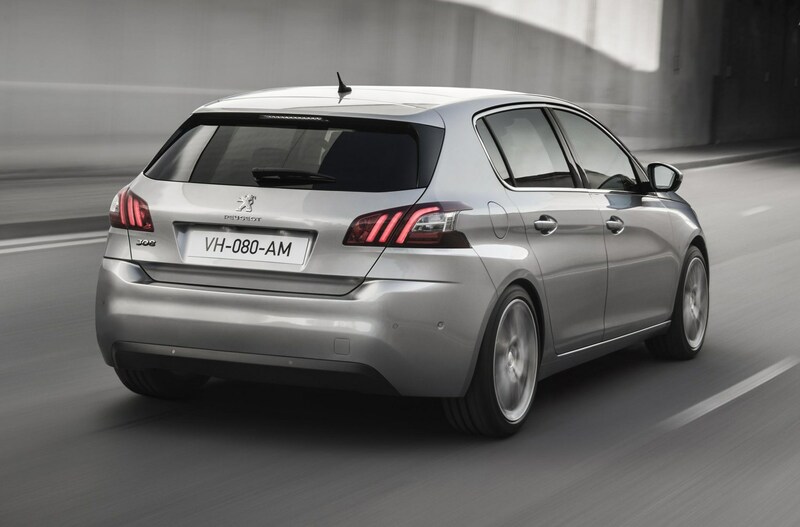 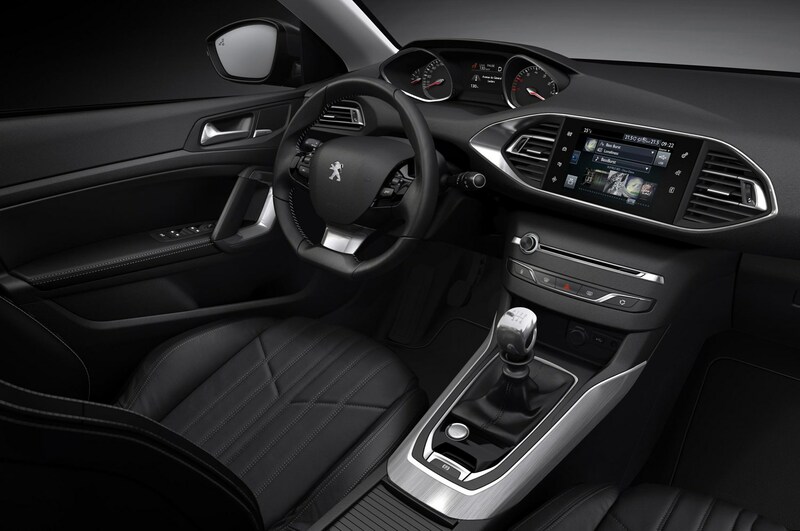 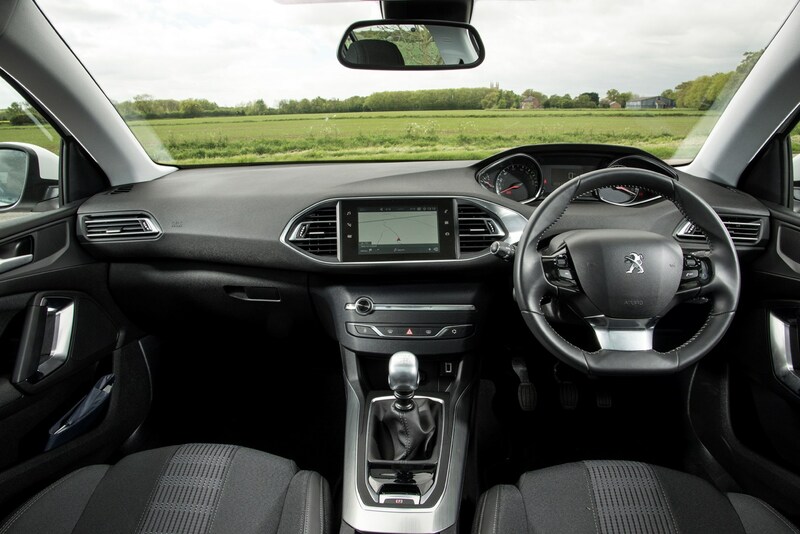 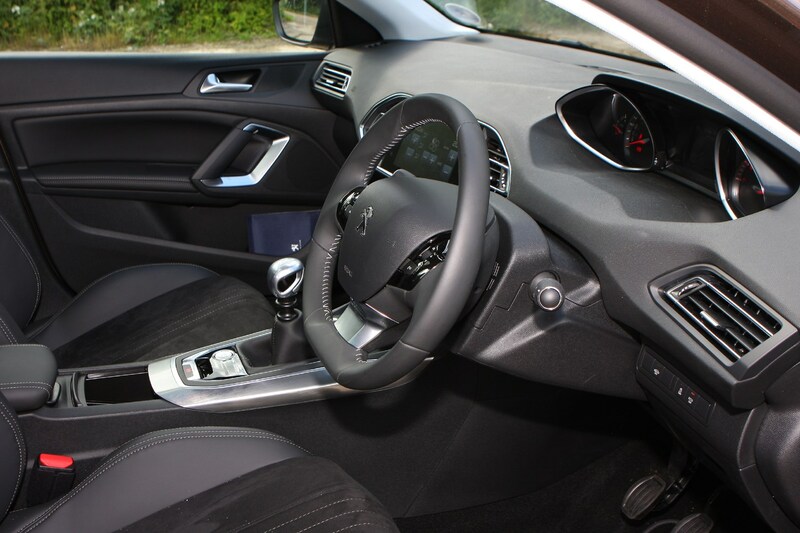 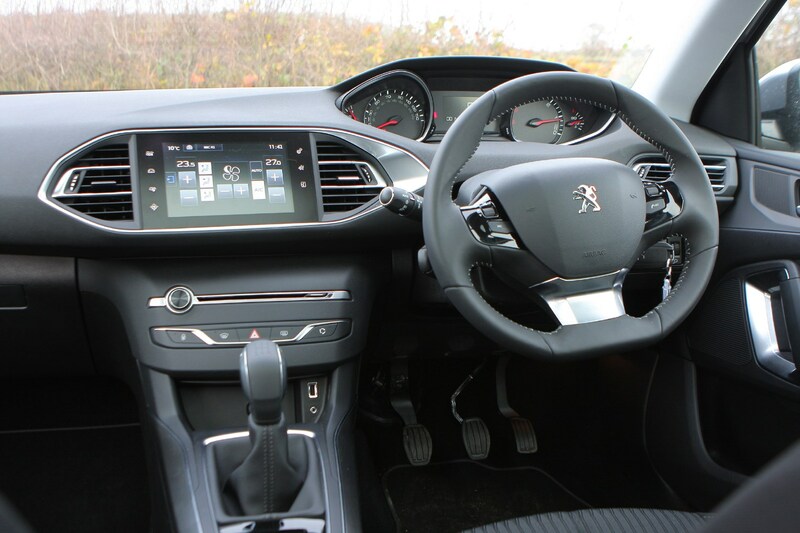 The Peugeot 308 is a sharply styled model with good interior quality, very competitive running costs and practicality, so it will appeal to family buyers. 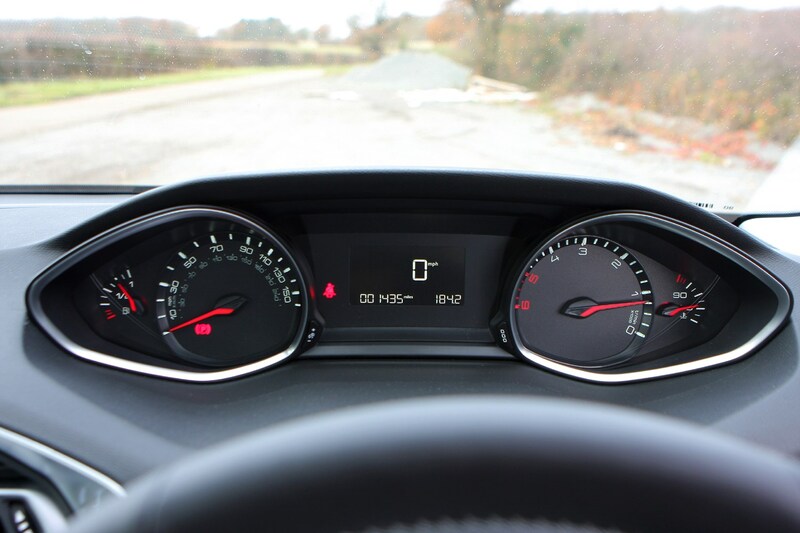 A shifting trend away from diesel means a PureTech petrol will probably be easier to sell on, especially in a higher trim with attractive driver assistance tech options added.